Well maintained, 3 bedroom/2 bathroom home with a spacious backyard and plenty of shade. 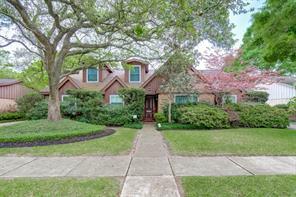 Zoned to Kolter Elementary, this home features original hardwoods and great storage space. Updates include replacement of attic plumbing and double pane windows throughout the house. Washer and dryer included. NEVER FLOODED, per seller. 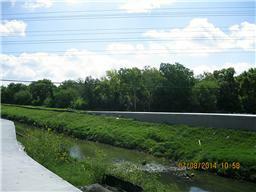 GREAT LOCATION AND PERFECT FOR SINGLE FAMILY SUBDIVISION OR CONDO UNIT DEVELOPMENT. MOTIVATED SELLER SAYS BRING ALL OFFERS. 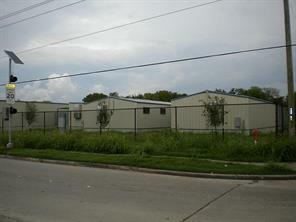 PROPERTY LOCATED AT THE CORNER OF GESSNER AND FONDREN MEADOWS. Three lots that combine to make almost 20 acres. This piece of land has no deed restrictions. 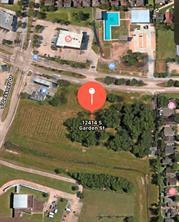 11527,11523, & 11543 S. Gessner are all the address to make up the acreage. There is a tour link attached, please click link to view video. price is reduced for a quick sale!!! price is very lower than the market value, great opportunity to own a land in a prime location, unrestricted 5 Acres land for sale, all utilities are available!!! House located in 1.2 acres lot, 10 cars parking space. No deed restriction. One story house, could be use as an office. Spacious Den (28x22), formal dining could be use as a meeting room. 2 and half bathrooms. Study room with French doors. Wooded land with tall nature trees, and lots fruit trees, 3 park benches in the back yard. This is the place you may use as office, or single family residential house with spacious yard, because no HOA no deed restrictions. Front auto gate with remote control to provide a part of security environment. 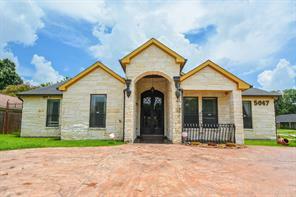 Beautiful custom home with jerusalem stone exterior and hardwood floors per seller. Floor plan has an open concept in living areas. Large foyer with high ceiling and lovely chandelier. Study with built ins. Dining room perfect for large dinner parties. Kitchen includes luxury Thermador 6 burner, 48" stove, 47" refrigerator & travertine floors.Seller says premium granite in kitchen has onyx in it with a leather touch. Extras include butler pantry and dry bar/wine rack. Utility room and closets have built in shelves and cupboards. Seller says all rooms have at least 8' ceilings and 8' doors. Room sizes are approximate, buyer to verify room sizes and schools. Property never flooded per seller. Additional parking on accented front driveway. NEVER FLOODED! Beautiful home in a great location. During Harvey, water only touched the grass, was not even close to the actual structure of the home. Beautiful inside with luxurious amenities. Minutes from renowned Bellaire, TX Easy access onto 90 and 610 making it easy to get around town Plenty of recreational amenities locally such as the Willow Water Hole and Godwin Park Down the street from Kroger - so you will not need to worry about going too far for groceries and plenty of locations to eat around the area. Home has a beautiful office for the hard-worker who needs their peace and quiet, and a beautiful covered wood patio for your Sunday football game. Luxurious feel with a modern touch, this home will NOT last long. Open floor plan makes the home feel larger, and has a welcoming feel with a lot of natural sunlight. Enough parking for the whole family with a large driveway, attached garage, second driveway, and street parking. ***NEVER FLOODED*** Fully renovated in 2014 to the highest standards ( to code with all building permits). All new plumbing in home out to main city pipes plus Moen fixtures. All new electrical wiring and insulation. This elegant home is open plan with travertine stone flooring, high ceilings with designer light fixtures. Custom color painted. The chefs kitchen boasts high end viking appliances with an abundances of kitchen cabinets and central island that serves as a breakfast area. Living room is large and features beautiful custom built-in shelves . Bedrooms are all hardwood floors. Master bathroom has a walk in shower, double sinks and granite counter tops, walk-in closet with built-in drawers. Large Play room/ office on second floor with walk out balcony overlooking large fenced and manicured back yard. This home is a must see. Home Never Flooded. Well cared for home exhibiting pride of ownership. Real bamboo Hardwood throughout home except in upstairs bedroom and 2 baths. Home is very bright with sky lights in Dining room/Family room/Living room and Master Bedroom. Family rm and master BR also have cathedral ceilings. Large Living Room and Family Room perfect for entertaining. Wood burning fireplace and nice built ins in Family room. Updated kitchen with large island, stainless steel Bosch appliances and trash compactor. Large Master bath with separate vanities . Upstairs bedroom has new carpet and is also perfect for an office. Pool was replastered 3 years ago. Backyard perfect for entertaining and family fun. Home has gutters. Lots of attic space. Two large AC units. Will not last long! * UNIQUE HOME Built by Neighborhood Developer * Located on a Beautiful Cul-De-Sac in Sought after Parkwest Subdivision, on one of the Largest Lots with Lots of Trees. Home's been COMPLETELY Remodeled with a Modern Flare! Dramatic TWO Story Entry with an Abundance of Natural Light! Open Concept Living, 4 Spacious Bedrooms, 2.5 Baths + Separate Guest Quarters (753 sq. ft.) perfect for Mother-In-Law Suite. Huge Kitchen with Updated Stained Cabinetry, Stainless Steel Appliances & an Abundance of Storage Space. Speaking of Storage, Fully Decked Floor above Garage with Staircase perfect for Hobbyist. Oversize Fully Fenced Backyard with Sparkling POOL, Lots of Entertaining Space Perfect for Family & Friends + Plenty of Shaded Green Space. 30 yr. ROOF, Replaced High-Efficiency Windows, Foundation Repair with Transferable Warranty, Updated HVAC System, Updated Electrical Box/Drop, Pool Re-Plastered + SO MUCH MORE! Do you own a Boat or RV? There's Space for it Too! This Home is a MUST SEE!!! 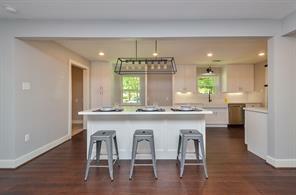 Newly renovated, never flooded, 2,860 square foot Single-Family home in Maplewood South. The home features 4 beds, 2 ½ baths, a large first floor master suite, pool, fireplace, upgraded kitchen, kids playroom, large laundry/mudroom, and 2 car garage. Master suite features a Private Office, ensuite bathroom, drybar, and a large walk-in closet with custom organization. The upstairs has three large children rooms with a playroom for their own space! The home is light and bright with enough space for everyone in your family to enjoy! *** HOUSE NEVER FLOODED *** This home has been absolutely remodeled from top to bottom with upgrades all over. This is a property you have to come and see in person to truly appreciate the finishes and the upgrades! The master bedroom is enormous and the master bathroom is something out of a magazine. The home has a new 30yr shingle roof, all new plumbing, new electrical, new cabinets, new quartz countertops, and tons of closet space. When you walk into this home you will be walking into an open concept mid century modern home with a beautiful kitchen and a vaulted ceiling great for entertaining guests. And once you make your way into the master bedroom you will be walking into an over sized bedroom that has to be the biggest in the Maplewood subdivision with a HUGE walk in closet. The master bathroom suite is absolutely beautiful with marble tile and quartz countertops and frameless class shower for two. Don't wait and come and see this home in person! 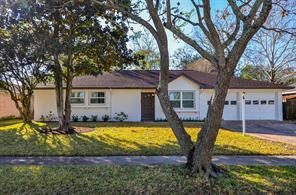 Beautifully Renovated Home on Large Corner Lot Zoned to Parker Elementary School! Custom Home with High-Ceilings and a Modern, Open Concept floor plan. Elegant entry leads to a large formal living and dining room with Cathedral Ceilings which opens to Den. Chef's kitchen with Large Island and Exotic Granite Countertops, Stainless Steel Appliances and Custom Wood Carpentry. 4 bedrooms & 3 full bathrooms with Plenty of Space in the Sprawling Back Yard. NEVER FLOODED! Fabulously updated with countless upgrades, property sits on an over 9,300 square foot lot on a wonderful block! With 3/4 bedrooms, this home features a sparkling pool (recently renovated per seller), a huge covered patio, a separate gazebo, full home generator, professional landscaping, and two grapefruit trees that the neighbors flock to each season! Inside, this home features a state-of-the-art security and surveillance system, 3 zone sound wiring theater quality built-in speakers by Bower & Wilkins, three bedrooms down including master, double paned windows throughout, and a spacious second floor (can be the fourth bedroom or gameroom)with tons of air conditioned storage and a full bathroom! Formal living and dining are open concept with gorgeous built ins. Garage is spacious and can accommodate two cars, including a large pickup truck with room for storage and has ceramic tile flooring. Walk to the brand new Parker Elementary and park! Never Flooded (per seller). 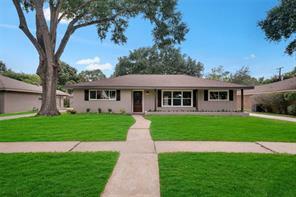 This Mid Century Modern home has been completely redone & it never even flooded! Real wood floors are illuminated by the over-sized windows & wall of French doors going to the covered patio. The island kitchen has marble countertops w/ all new appliances & real wood cabinetry. Classic subway tile back-splash keeps the clean lines w/ the timeless farmhouse sink being a focal point under the updated window. This home boasts modern amenities such as new pex plumbing & all new electrical. Master bath has solid surface counter tops holding the double sink & stylish cabinets continue there as well. Great New Price! Best Value in Westbury! Outstanding Westbury Section 1 Complete Renovation! A rare 5 bedroom 4 bath home with Dual Master bedrooms downstairs! The home features designer touches throughout. Along with a new roof with a 20 year transferable warranty and 30 year shingles. A Tankless Water Heater, New under slab plumbing, New electrical panel and whole home wiring, New duct work and HVAC System. As well as, new windows and doors and flooring and a full Samsung SS Appliance Package! You'll love the creativity and design! OH. I almost forgot about the "POOL" off the featured Master and Dining room with a covered flagstone patio with ceiling fans below a large upstairs sun room. Zoned to the Exemplary Kolter Elementary Call your agent today for a private showing! Home Did Not Flood. A lushly landscaped and beautifully updated Traditional home featuring many fine upgrades, from the lovely front entry with stained wood door, to the stately formal dining room, and spacious family room with built-in cabinetry and corner fireplace. A chef's dream kitchen, featuring shaker style cabinets, tile flooring and backsplash, granite countertops, stainless steel appliances, including microwave, convection oven, farm sink and refrigerated wine storage, and adjoining breakfast room, are truly a sight to behold. The master bedroom suite features a room-size closet and adjoining study, exercise room or home office. The first floor also features two additional bedrooms and a beautifully updated hall bath, with double sinks and soaking tub. Take the wooden staircase up to the second floor, featuring two additional bedrooms with walk-in closets and hall bath. The fenced backyard features a large patio, an air conditioned storage shed, and sprinkler system, front and back. Welcome home! Never flooded and beautifully remodeled two story home with a Great Floor Plan and Elegant Finishes. Gorgeous living area perfect for family living and entertaining. Kitchen has new BOSCH SS Appliances, Brand New Cabinets with soft-close drawers, Under-mount sink & Quartz Counter-tops. Master bed with huge walk-in closet and stunning master en-suite. Engineered hardwood (Birch) floors throughout the house. New sewage and PEX plumbing. New HVAC system. Roof less than 2 years. 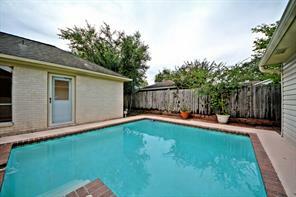 Cool off in your own private pool and covered patio!! Zoned to award winning Parker Elementary, this beautiful home has been tastefully remodeled, and it shows pride of ownership! Beaming hardwoods, streamlined, modern kitchen and bathrooms, fantastic pergola for year-round outdoor living, a delightful fruit tree orchard and a jungle gym for the children are some of the great features of this beautifully maintained home! Just steps from the new Parker Elementary, a National Magnet School of Distinction; minutes from Meyerland Performing and Visual Arts Middle School. Just cross the street to enjoy the pool, playground & sports fields at Westbury Park. 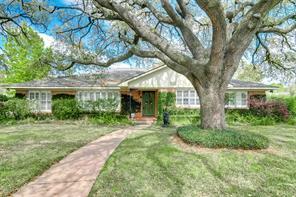 This traditional mid-century 4/2 home has been completely updated inside. Fully rewired, including breaker panel, and new PEX plumbing. Exterior has new Hardie siding & soffits, recent low-e windows, all new exterior doors & lighting and is freshly painted. Open floor plan has hardwood floors in living areas and master bedroom. New kitchen has all wood cabinets with easy-close hinges and self-closing drawer glides, ss appliances, quartz counters, and designer tile. Great master suite with large shower and huge walk-in closet. Spacious laundry room can accommodate an extra refrigerator or mudroom area. 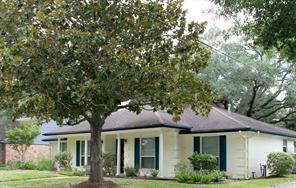 House sits on a large corner lot shaded by beautiful mature trees. 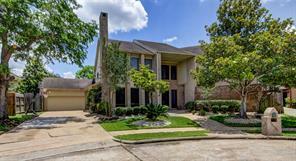 Minutes to TMC or Galleria, easy access to 610. Never flooded. NEVER FLOODED! 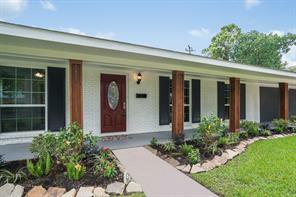 Living is easy in this recently remodeled 4 bedroom/2 bath one story home that has a modern touch with a hint of classic. This new soft contemporary feel features a spacious open floor plan that transitions seamlessly the living, dining and kitchen area. The living room has a wood burning fireplace. The sleek and stylish kitchen flows through to the dining room and is equipped with a "Frigidaire"stainless steel appliances plus gorgeous counter tops. The spacious master bedroom suite offers a private bath and xlarge closet. As a bonus there is a detached two car garage fully insulated with a/c, lighting, heavy-duty electrical system and storage area. An installed 18KW generator keeps you lit no matter what! A MUST SEE! 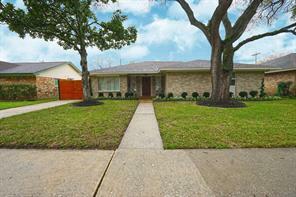 Beautifully updated home in Westbury! Open floorplan boasts large kitchen with granite counters, SS appliances, huge island and butlers pantry. Gorgeous floors and recessed lighting throughout. First floor master suite includes granite counters, dual sinks, walk-in tiled shower with seamless glass and huge closet. Downstairs flex room or office. Recently updated electrical panel, PEX plumbing, Low-E Windows and roof. Spacious yard, detached garage, driveway gate and covered patio! NEVER FLOODED! One of a Kind, Custom Remodel! Fully remodeled to studs and beautifully converted to a 2,548sf showpiece with gorgeous, detailed finishes! New roof, A/C, basically new everything! Huge open concept, beautiful wood floors, custom island and table-one of a kind, Chefs Kitchen, granite and quartz countertops, custom walk in pantry with huge built-in spice rack, huge master bedroom and a great 'oasis' Master Bathroom with herringbone wood tile floor, Carrera Marble, full custom closets, utility w/mudroom, 4 brdm-3 full baths, study, corner lot and much more! Truly a must see! Best remodel on the market! Crown moldings, coffered ceilings and much more! Inspired by Magnolia Homes! Never flooded and not in flood zone. Beautiful Home. Renovated and Remodeled from top to bottom! Bright and open kitchen w/ granite counter tops, traventine floors and stainless steel BOSH appliances with gas cook top. Wood flooring. Master bath w/ dual sinks & walk-in closet. 3 full baths. Ready to move in. The house has never flooded even during Harvey. DID NOT FLOOD! BEAUTIFUL RENOVATED HOME! You'll Love this one story house, with generous room sizes & excellent use of space. Beautiful Engineer Hardwood floors combine with tiles and carpet in the Bedrooms. Island Kitchen w/quartz includes Bosch Stainless Steel Appliances. Master Bedroom has vaulted ceiling with a stunning master bath that includes double sinks, free standing tub and huge shower, as well as a walking closet. Taken down to the Studs and adding space to bring the house to 2018 Standards. New Underground Sewer, Plumbing, Electric and A/C. With an open floor Plan for Family and to entertain. New Shades, Doors and trims. Nice Backyard that includes outdoor Kitchen with enough backyard for a future pool or for space for kids to play. 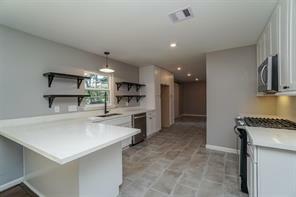 This fully remodeled 2 stories house have a great location in a cul da sac lot! An open floor plan and new windows that brings in a lot of natural lite. A new custom made kitchen with granite countertop and new stainless steel appliances. The specious master bedroom is located on the first floor and has a huge walk in closet, master bathroom with a rain shower and double sink. 2 large bedrooms on the second floor and extra room/study/office. You will enjoy the great backyard that has a deck and pergola. 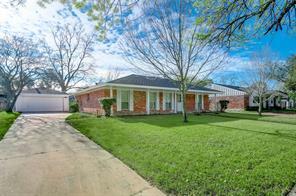 The property located in desirable Maplewood South with easy access to Highway 59 and 610. 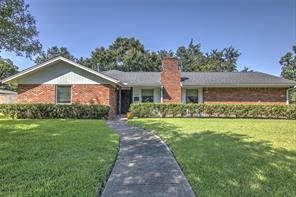 Minutes away from The Galleria and Medical center. THE HOUSE NEVER FLOODED. 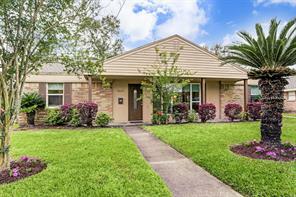 * NO FLOODING * This beautiful move-in ready gem was completely remodeled and meticulously maintained. With raised ceilings, solid oak floors, and tons of natural light, this home is a rare find! It features dual masters, each with large walk-in closets and French doors that open to a spacious backyard, 3 full bathrooms, and an attached 2-car garage with pristine epoxy flooring. The well-appointed kitchen boasts solid wood custom cabinets, granite countertops, stainless steel appliances, under cabinet lighting, and an oversized breakfast bar. 9-zone sprinkler system, exterior recessed lighting, beautiful landscaping, oversized back patio, and site-built storage shed. Renovations in 2014 include new 30-year roof, new dual-zone Trane HVAC system and ductwork, new CPVC plumbing system including under slab plumbing, new electrical system, new low-E windows, and new attic and interior/exterior wall insulation. 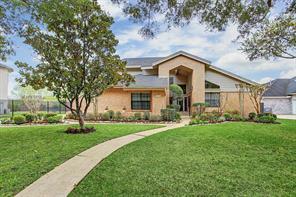 Zoned to excellent schools and located in the heart of sought-after Westbury. 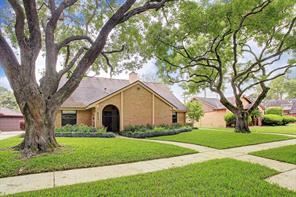 An ideal location in a Houston HOT-SPOT, call 5910 Wigton Drive home! A farmhouse stunner that checks every box. 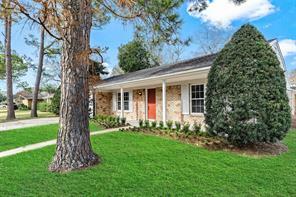 Ideally located in the heart of Maplewood South, a NEVER BEEN FLOODED 5-bedroom home so lovingly designed & remodeled. With the finest finishes & great attention to every detail this home features gleaming oversized 32X32 Seychelles floor tile, modern shaker-style cabinets w/ champagne bronze hardware, unique lighting in every room, all new LOW E windows & more. 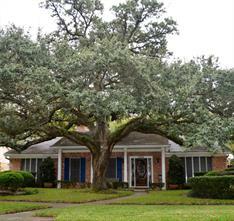 With easy access to all of Houston's major hubs & so much appeal - schedule a private showing! NEVER FLOODED .. higher grounds!!! Gorgeous! True country living within the city! 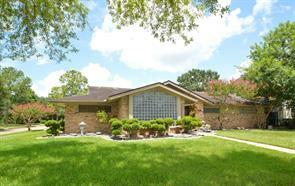 Large beautifully updated home (3000 SF+) in almost 1 acre lot! . 3 bedrooms (2 Masters!) + 4th bed/study. Open floor plan. Great for entertainment. Custom kitchen with large granite sitting island/travertine/stainless appliances. Formal living and dining areas. Large windows bring in the light & outside greenery of the vast front & back yards. Entrance yard with aviary! Porcelain tile everywhere. Beautiful pool with huge Gazebo and play ground. Not that many acreage homes in the southwest ... close to everything ...A rare find! 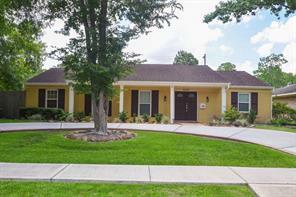 Beautiful, move-in-ready, well maintained home, at the end of a cul-de-sac. Located in the midst of a lovely neighborhood, yet has the utmost privacy. Features 5 bedrooms, living room, game room and family room. Layout perfect for entertaining. Kitchen boasts ample storage and up to date stainless steel appliances, all of which are included in the sale. Master bedroom features a separate sitting room, separated by a double sided fireplace. In ground pool with jacuzzi, featuring new heater and jets. Cabana with bathroom. Large yard with swing set. Three car garage with attached guest house. House has a radiant barrier, tankless water heater, and electric gate. NEVER FLOODED! NEVER FLOODED, NOT IN FLOOD ZONE. NEWLY REMODELED HOME WITH POOL. PROPERTY TAKEN DOWN TO THE STUDS. NEW HVAC, ROOF, APPLIANCES, CABINETRY, PLUMBING, ELECTRICAL. BEAUTIFUL OPEN FLOOR PLAN WITH RUSTIC WOOD LIKE FINISH TILE. ACCENT FEATURES THROUGH OUT. YOU DONT WANT TO MISS IT! Beautiful curb appeal. The home opens up to the living areas. There is a private study or dining with french doors. Original hard wood floors throughout a lot of the home. Family room has natural lighting opening to a gorgeous back yard. The countertops are beautiful with white cabinets, unique back splash, double oven and fridge included. All 3 Bedrooms have nice closets and nook in the hallway. Bathrooms are gorgeous with granite countertops, walk-in showers and separate tubs. The master has a unique addition, which has french doors opening into the back yard and pool! The 3rd bathroom is off the pool area. HVAC about 4 years old, hot water and electrical box new. Windows replaced 2009. Bathrooms have updated plumbing. The garage has been redone with hardy plank. This home is an amazing location. Perfect time to buy and enjoy the pool for the summer! zoned to Parker El.,an exemplary music magnet school.This home has never flooded. Please text or call agent to view the home. The Best cul de sac in Maplewood South! Only six homes total. Beautiful trees and great neighbors. Hurry. Newly renovated 4 bedroom home with 2 full baths. Large Master shower with dual shower heads for two. Super-Sized custom kitchen island along with custom cabinets and all new Quartz counter tops and GE appliances. Newly installed wood-look tile flooring throughout the home that also features a large enclosed air conditioned Sunroom. No Carpet in this home. This home is pet friendly! DID NOT FLOOD. Call your agent and schedule an appointment for a showing today! Come tour this beautiful property and make it your stable income. 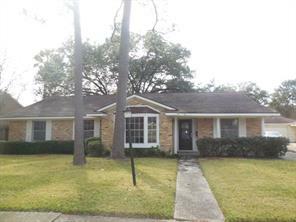 New owner can increase the rent, minutes away from medical center and Galleria mall. 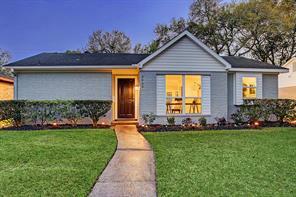 Exquisitely updated/remodeled home in sought after Parkwest. 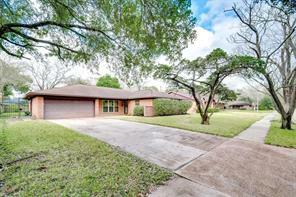 Never flooded per seller and walking distance to Parker Elementary. This home features large living spaces and open concept for entertaining. Chef's dream kitchen features professional 60" Thermador commercial gas range w/ pot filler, Thermador fridge and dishwasher, custom wood cabinets and quartzite counter tops. Hardwood flooring and Terrazzo throughout all living areas. Large master suite w/ custom walk in closet and decadently updated bath. Amazing finishes and touches throughout include La Cache 286 bottle climate controlled wine cabinet, Pella windows, Hunter Douglas shades/curtains, custom light fixtures/ceiling fans, custom bathrooms, fresh paint, updated hardware throughout and stunning front door. Other updates: roof, 16 SEER HVAC, ducts, hot water htr, electrical panel, pex piping, sewer lines! This home has it all! Huge backyard w/ extensive decking, gas line for grill, sprinkler system and NO back neighbors! A Maplewood South gem with all the bells & whistles, welcome home to 6242 Paisley Street! This home boasts 5 generously sized bedrooms, stunning designs & great attention to detail! A NEVER-BEEN-FLOODED total remodel boasting an open-concept kitchen & living, glistening hardwoods, sprawling yard & HARD-TO-FIND 3-car garage. A house built for entertaining w/ an IDEAL layout & professionally designed for under 440k! Superb community on a corner lot - your chance to own a piece of real estate in this sought-after neighborhood. Schedule your private showing today! This 5 bedroom, 4 bathroom plus study has it all! Home has been extensively renovated and is ready to go! New shaker style cabinets in kitchen with new stainless appliances, granite countertops, fresh designer paint colors, open floor plan, interior laundry, engineered flooring throughout most of the downstairs, carpet in two downstairs bedrooms, hardwoods upstairs, workshop in garage, large 2nd floor deck, beautifully updated master and guest bathrooms, frameless glass shower in master, updated pex plumbing for the fresh water and updated pvc for the underground plumbing. Bonus basketball goal and large storage shed in back. This home has never flooded and has no neighbors behind! Make your appointment today. 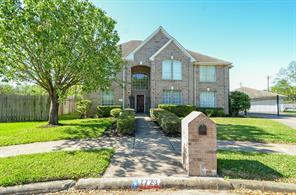 Create lasting memories in this 4-bedroom, 2-bathroom home in the family-friendly community of Westbury. Located less than 2 miles southwest of Meyerland Plaza, this property offers accessibility and convenience to the surrounding areas of Houston. This corner lot home has been beautifully remodeled to include an open floor plan, recently replaced Low E windows with warranty, recent foundation and plumbing repairs with warranty, recently replaced electrical wiring, hardwood flooring, custom millwork and granite countertops throughout, and a great room with French patio doors overlooking a spacious backyard and patio. The stunning kitchen features glass front cabinets, tile backsplash, stainless steel farmhouse sink and Energy Star appliances, and a breakfast bar. Unwind in the spa-like master suite, complete with built-ins, dual vanities, and a walk-in shower with seat and mosaic accents. 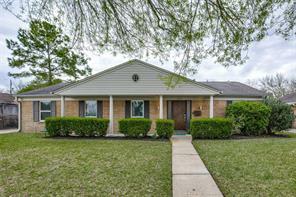 Ideal for commuters with proximity to I-610, U.S. 90, and the Texas Medical Center. Call today! Located in the neighborhood of Maplewood South, this ranch style three-bedroom home offers an abundance of natural light. Be the first to utilize the upgraded kitchen which boasts new cabinetry, plenty of storage, high-end appliances and fixtures. Matching quartz countertops flow throughout the home from the kitchen to the fully redone guest and master bathrooms. On the exterior of the home and detached garage you will find a recently updated roof, HardiePlank siding, and all double-panned windows. Leaving the best for last is the backyard oasis complete with swimming pool that has been upgraded and is sure to be an entertainer's delight. Per seller, this home did not flood during Harvey. NEVER FLOODED! Move in with instant equity - appraisal on property is for much more than asking price!! Welcome home to this recently remodeled 1 story home that's now tastefully updated with a modern touch. 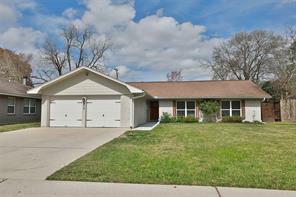 The entire home features new wood flooring in all common areas & new carpet in bedrooms! The kitchen has been completely revamped with new cabinets, flooring, stainless steel appliances, and quartz counter tops that give the kitchen a clean modern look. The den opens up to the front of home giving it a very open feel! The master bathroom has been completely redone with dual vanities & quartz counter tops, new tiles, additional cabinet space, & a spacious shower enclosed w/frame less glass. Home also features Mud room and is the rare 1 story in the area with a half bath. 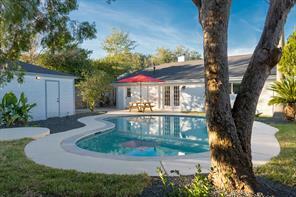 The backyard is an oasis complete with pool, sauna, & plenty of privacy! Sauna features new heater! Custom double pane windows throughout property! Location has great access to 59, 610, 90, BW8 & Medical Center! THE VACANT LOT WILL APPRECIATE THE MORE IN FEATURE CONSIDERING THE CLOSE PROXIMITY WITH THE HOUSTON POLICE DEPARTMENT AND THE SAFE ENVIRONMENT MOST PREVALENCE WITH SUCH OPPORTUNITY. NO FLOODING PER SELLER!!! Beautifully updated 1-story, 3 bedroom 2 full bath on an over-sized lot, (no back neighbors) this house is ready for you to call home. With only 2 owners, this house has been well cared for over the years. Spacious open floor plan featuring formal dining and receiving areas. Bring out your inner chef in this island kitchen, equipped with a double oven and granite counter tops through out kitchen and bathrooms. Utility room in house with washer and dryer connections. Recent updates include, new roof, electrical box, water heater, and plumbing completely re-piped with PEX. Energy efficient double-pane windows through out entire house. French doors in living room lead out to a pergola covered back patio. Relax and unwind in your very own back yard oasis featuring a rose and butterfly garden, fruit trees and a grow if yourself gardening area. Easy access to major roadways and walking distance to community pool and park. 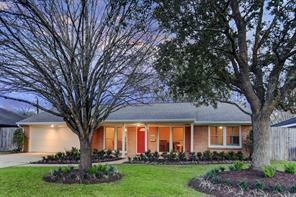 UPDATED WESTBURY HOME ON A GREENBELT! 2018: HOME AND GARAGE ROOF, PATIO METAL ROOF, HARDIPLANK / 2016 COMPLETE RENOVATED KITCHEN, PLUMBING REPLACED WITH PEX / OPEN FLOOR PLAN HAS WOOD FLOORS, GORGEOUS BATHROOMS, FORMAL DINING, STUDY/FORMAL LIVING, RECESSED LIGHTING & SPRINKLER SYSTEM. BEHIND THE AUTOMATIC DRIVEWAY GATE YOU'LL FIND A LARGE FENCED IN YARD AND COVERED BACK PATIO WITH NO BACK NEIGHBORS: GREAT SPACE FOR KIDS, DOGS (ALSO HAS A FENCED DOG RUN). CLOSE TO 610! COME JOIN THIS WONDERFUL FAMILY ORIENTED NEIGHBORHOOD! NEVER FLOODED! NEVER FLOODED AS PER SELLER. One of highest elevations in Maplewood. Beautiful recent custom renovation. Fabulous open floor plan w/crwn molding, hand scraped wood plank & porcelain tile floors, beautiful stone fireplace, double french doors to new covered patio, low e double pane windows, recessed lighting. 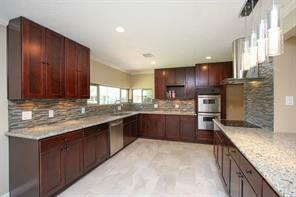 Gorgeous kitchen custom cabs w/soft close doors, high end granite, SS applncs, glass tile bcksplsh. Beautiful baths w/ double sinks, granite, huge shower w/frameless glass door & dual shower head. New under slab plumbing. The wait is over! 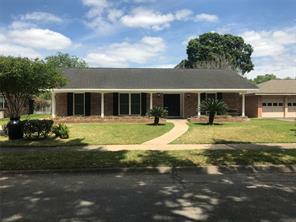 This gorgeous home has been updated throughout, is located in a wonderful neighborhood and had no water in Harvey! The open living areas are highlighted with beautiful, double pane windows, lots of recessed lighting and dark stained hardwood flooring. A dreamy kitchen offers a huge island with seating and storage, recent stainless appliances including a gas range and double ovens! The counters are a lustrous granite and the back splash is made of beautifully coordinating tile. The office has frosted glass French doors. All bedrooms offer en suite baths plus a powder room was added...yes, that is 3 and a half baths! The large master suite touts two large closets and the master bath has a large shower with a frameless glass door. Other major, recent improvements include the roof and gutters, insulation, wiring and breaker box, air conditioning unit and furnace, plumbing lines, sprinkler system, gas lines, and more! Soft tones flow beautifully through the home. Beautifully updated, move-in ready home in a prime location! Easy access to 610 & Beltway 8. Completely renovated kitchen: new stainless steel appliances, cabinets and granite counter tops. New wood floors throughout and a new slate deck in the spacious backyard. 5 bedrooms! Master suite & 2nd bedroom downstairs, all others up. HOME NEVER FLOODED, per the owner. DID NOT FLOOD.. 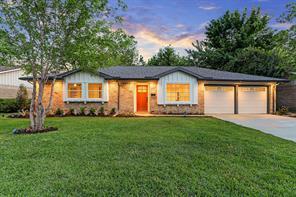 This beautiful totally remodeled ranch home located in the Maplewood South subdivision has five bedrooms. From when you walk in the front door and see the beautiful wood tile floors, new granite countertops in the kitchen and bathrooms you feel that the house is brand-new. The kitchen has new cabinets sink new stainless steel appliances and microwave. The master bathroom is awesome. This is a must see. Gorgeous 2 story home with atrium entry, sunken living room with hardwoods, wood burning fireplace, appointed lighting and lots of windows overlooking pool. Open entry leads to two story living room with custom shelving. 5 bedroom open floor plan with master suite down. Suite includes sitting area and vaulted ceiling. Master bath includes granite vanities, deep whirlpool tub, large walk-in shower with seat and walk-in closet. 2 bedrooms currently utilized as Exercise Room & Study on first floor. Powder bath down. Professional island kitchen with stainless steel appliances, double oven, gas cooktop, granite countertops and recessed lighting. Tiered media room with 7 home theater chairs. Family room includes wet bar with built-in mini-fridge and view of fenced backyard. Property includes zoned HVAC system, three car garage, utility room with remaining front loading washer and dryer. Professionally landscaped 14,000 sq. ft. lot also boasts pool with water fall and outdoor grill. Honey, stop the car!! 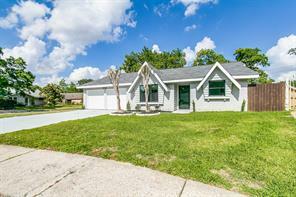 You do not want to miss this incredible fully remodeled home with numerous upgrades, new cabinets, new granite, all laminate wood like flooring, new paint, new windows, new A/C, new appliances, new hot water heater, new roof, new underground plumbing! Imagine yourself in your brand new home with a convenient location close to downtown. 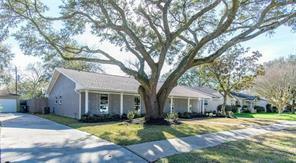 Mature trees and nicely landscaped yard envelops the home and is complete with sprinkler system. Both bathrooms are fully remodeled, and the master bedroom has a closet that perfectly makes use of the space with new built ins. The kitchen is a chef's dream and is perfectly situated to entertain your guests. The family room boasts high ceilings and a modern gas fireplace. From the moment you walk into the door, you will love the light and bright airy feel of the home. Everything is open and bright! NEVER FLOODED! Wonderfully Updated and Brilliantly Redesigned 1 Story with 4 Spacious Bedrooms, 2.5 Baths, plus Study, Formal Dining, Breakfast Area, and Bonus Room. Central Family Room w/ Gaslog Fireplace. Chef's Kitchen: Upgraded Maple Cabinets w/ Soft-Close Drawers, Quartz Counters, All New Top-of-the-Line SS Appliances, 5 Burner Gas Range, Convection Oven, Wine Chiller, Breakfast Bar, and Hardwood Floors that continue thru the Main Living Areas and ALL Bedrooms. Executive Master Suite w/ Massive Walk-In Closet, Dual Undermount Sinks, Quartz Counters, Spa Shower w/ Seamless Glass Doors & Modern Accents. All Updated Baths. New Roof, Dbl Pane Windows, New A/C, Heat, Ductwork, New PEX Plumbing, Tankless Water Heater, Automatic Driveway Gate, and Abundant Energy Features. Great Backyard w/ Full Sprinkler System & Added Drains. NEVER FLOODED. 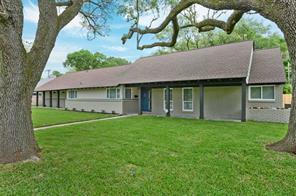 Easy Walk to St. Thomas More, and Quick Access to 610, and 59. Welcome Home! Charming home completely updated with a new gorgeous interior! The stunning updates are nothing short of impressive! Beautiful new wood-like tile flooring throughout with new carpet in bedrooms. Enjoy the all-new chef's kitchen with all new appliances. 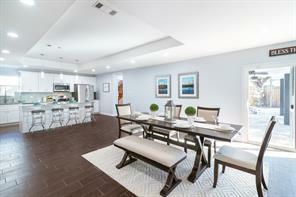 Kitchen opens to the family room making it perfect for entertaining! Enormous master suite with tray ceiling and walk-in closet! Revel in the en-suite, spa-like, master bath retreat redone with beautiful quartz vanity and double sinks, jetted tub and separate shower! Also benefit from all new electrical, plumbing, roof, and A/C! The study can be a bedroom. Immense backyard has a storage shed and new fence. Don't miss out on this amazing home! Traditional mid-century home reconfigured and updated for today’s lifestyle. Open floor plan, original hardwood floors in living areas and all bedrooms. New kitchen has all wood cabinets with easy-close hinges and self-closing drawer glides, ss appliances, quartz counters, and designer tile. Large laundry room with walk-in storage closet and room for an extra refrigerator or freezer. ALL NEW: HVAC (including ductwork), plumbing, low-e windows, tankless hot water heater, insulation, electrical wiring and breaker panel. Exterior has new Hardie siding & soffits and is freshly painted. Huge back yard with new 16’ x 20’ deck and beautiful mature trees. Zoned for the new Parker Elementary, a National Magnet School of Distinction; minutes from Meyerland Performing and Visual Arts Middle School. Just blocks from the pool, playground & sports fields at Westbury Park. NEVER FLOODED; not in a flood zone. One of the flagships for the area- above and beyond your ordinary remodel- a real must see especially if you are looking for 4 bedrooms. Newly raised elevation out of the flood plain so you can buy with confidence. Completely redesigned feels and looks new with higher ceilings(9') and open living room to the kitchen plus all the other amenities you want: new appliances, counter-tops, cabinets, wood floors, trim, windows and so much more. Do yourself a favor an call for your own private showing today! Buying a "State of Art"? This is the one for you! A total transformed "new" built in one of the most established neighborhood close to the loop area. The exquisite design and craftsmanship is ready to WOW your family! Highlighted updates include but not limited to: New 30 year roof & siding; Open concept by removing 3 interior walls; Raised 10 feet ceiling in kitchen, dining & living; new plumbing & electrical wiring; Designer duo exterior & interior paint; (Maintenance free) fiberglass front door w custom glass; all new interior doors & double panned windows; Kitchen w island, quarts counter top & custom backsplash& 5 burners gas range w conventional oven; all Moen fixtures in kitchen & bathrooms; custom lighting & fixtures;12X24 stone finish porcelain tile in bathrooms & kitchen w Mosaic accentuate;White Oak solid hardwood floor in living & bedrooms; glorious stand up showers in both bathrooms; A/C w smart thermostat, new duct & grills. Mature trees & storage shelter. A must see! A mid century home that has been painstakingly redesigned and upgraded to feel vibrant and enjoyable from every corner. "Never Flooded" Sip your morning coffee or afternoon spirits in a magnificent kitchen setting overlooking the pool and backyard. From the walnut accents to the quartz countertops and warm ambient lighting this home will please anyone. Top of the line design and finishes. The Kingfisher home comes equipped with new SS appliances and a wonderful laundry station with new W&D. Other new items include complete HVAC system, ducts and Nest; new fiberglass blown insulation, double pane low-e windows, new 30 year shingles as well as all new pex plumbing and brand new electrical system and breaker box. New pool filter, LED and decking. The bonus here is the air conditioned and insulated garage (fiberglass blown, batt and cellofoam) that can double as separate game/guest room. There is a half bath and kitchenette. Schedule your private tour today! 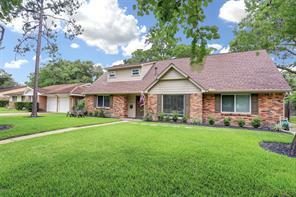 Pristine Home located in the Highly Desirable Brays Oaks Subdivision. Parks, Jogging trails, Location, Location, Location!!! Completely Remodeled Home with Custom Cabinetry, Wet Bar, Martini Pool, Out door kitchen, Outdoor Chimney with a Pizza oven, Mosquito Misting System, .... the list goes on. Ideal for the Entertainer or Someone that likes to live in the lap of luxury. . Come by and see this Beauty for your self!! This dream home is the centerpiece of the Cul-De-Sac and the largest lot in Parkwest. It has been fully redesigned with a modern concept, designer paint, energy efficiency windows & appliances and exquisite flooring throughout the home. The Master Bedroom has a extra wide window, which give a spectacular view of the resort like backyard. The Master Bath has double vanity sinks and jacuzzi tub with a walk-in shower all finished with Granite, Porcelain, & Terrazzo. It has a resort-like backyard that has the all the amenities you could imagine; a large swimming pool, a fire pit covered with flagstone, a full bath out-house equipped with A/C and a Large Workshop. There is a Gorgeous White Pergola with outdoor fans, which overlooks the entire backyard. Has large 2 car garage. 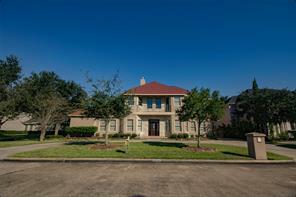 Home is conveniently located near Hwy 90, and less than 9 minutes away from Hwy 610, Beltway 8 and 59. This home is perfect for entertaining families and friends. Come by and make this your home. This home has NOT FLOODED! 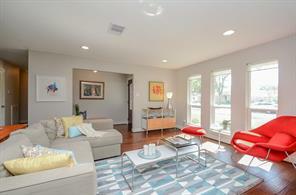 Absolutely beautiful, completely remodeled one story home located in Maplewood South. 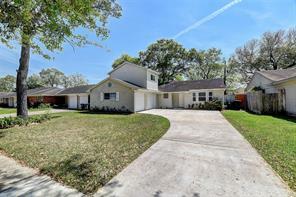 This 4 bed/2 bath/1 half bath home has been upgraded with a modern design. Upgrades include a new roof with 10 yr labor warranty and manufacturer's warranty, Pex plumbing, new furnace and condenser, new interior and exterior paint, upgraded lighting throughout and new appliances in kitchen which include hood, cook-top and wine fridge. This fabulous home has a gorgeous kitchen which is open to both the family room and dinning room; great for entertaining. Hurry and book your showing today before this home is gone! 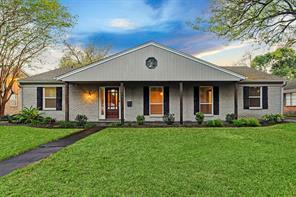 Renovated home in Maplewood South subdivision that never flooded per seller! This lovely home features 4 spacious bedrooms, 2.5 baths, formal living room with fireplace, formal dining room, separate breakfast area, laundry room, detached two car garage & a bonus flex room, that can be utilized to your needs! Massive master bedroom retreat with two walk in closets, new hardwood flooring and carpet throughout home. Gorgeous white kitchen with island, perfect for entertaining and brand new stainless steel appliances. This home has it all with the perfect location in town so come see it in person to appreciate what it has to offer with all the upgrades!!! Schedule your private tour today! *Verify room size and dimensions. Charming, spacious, updated home on an oversized corner lot in the most desirable part of Westbury! This expansive one story home has everything a family needs and has been extensively updated while still retaining its original charm. Updates include new hurricane category windows and door, new AC ducting and coils, gas log fireplace conversion, recessed lighting, integrated speakers, remote AV closet, beautiful hardwood floors, remodeled baths, new kitchen tile and under cabinet lighting, elegant living room built-ins, and new utility room, closet, and garage shelving to maximize storage space and functionality. This large home also includes an office/flex room with custom cabinetry. This home has never flooded and is not in the 100 year floodplain. Elegantly Remodeled Home featuring highly efficient updates including 16 Seer AC system for drastically lower energy bills. 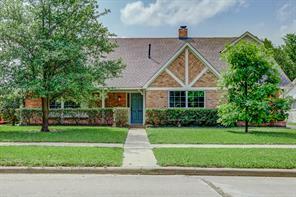 Fantastic location, you can walk to Parker Elementary down the street! As you enter this lovely home note the marble floors in the entry & gleaming hardwoods with crown molding in living & dining rooms. Spacious rooms, oversize Gourmet Kitchen(to die for), double pane windows, fans in all bedrooms, sprinkler system. Kitchen amenities include: stainless steel appliances- gas stove- double ovens, custom cabinets with glass fronts & lighting plus granite countertops with tile backsplash & porcelain tile throughout kitchen & den. Master Retreat touts hardwood floors, Walk-in Closet, recessed lighting, lavish furniture style vanity & stone tile Enlarged Shower. 2nd bath w/ Travertine Tub surround dual sinks.. Beautiful landscape entices you into this well maintained back yard with pool & ample yard space- seller will pay for one year pool maintenance as added bonus! 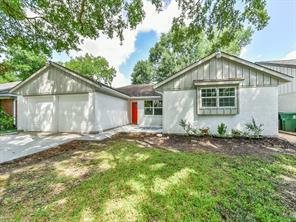 Amazingly Remodeled 1-Story Home Four bedrooms and Three full baths! includes fresh paint, new wood-look tile throughout, updated fixtures, new roof and an open floorplan great for entertaining! This home features lots of windows throughout, a huge den adjacent to a stunning open kitchen that boasts beautiful granite counters and, stainless steel appliances including custom cabinetry and a striking backsplash. The master bedroom has a large frameless shower and walk-in closets, and the secondary bedrooms share the 2nd full baths. Easy access to 610, a couple of blocks of the wonderful Parker Elementary School. The home did not flood. GORGEOUS remodel in Westbury! The seller spared no expense on the beautiful selections in this 3 bed/2 bath home including stylish white cabinets with brass hardware, wet bar featuring wine rack and wine refrigerator, modern white quartz countertop, elegant crackled glass subway tile, porcelain tile in bathrooms, and engineered hardwood throughout the living area and ALL bedrooms, no carpet! Also included: new windows throughout, pex plumbing, and tankless water heater. The ceiling was raised to open the living space and extra windows were added to allow for plenty of natural light. This is a must see! Make your appointment today! Located in a quiet secluded lake community with gorgeous private lake, community pool, playground and tennis courts. This amazing custom home with private pool, hot tub, lakeview with private access to the lake is a rare find. Gorgeous outdoor views, multiple patio settings and balconies, gazebo that shades the hot tub, and your own private pool will cause you to spend so much more time outdoors. Stately high ceiling in the family, elegant dining room, massive gourmet kitchen with eat in breakfast room is ideal for entertaining. Two half baths, one off the hot tub area, the other is located off the living is a unique and hard to find feature. Large front room could be used as a study of a formal living as it boost a gorgeous wood burning fire place. A full wet bar downstairs utilizes the space under the stair. Large master oasis located down stair with private access to the backyard. Upstairs 4 bedrooms with 3 ensuite baths, large game room with wet bar, and study with a balcony. NEVER FLOODED! DID NOT FLOOD DURING HARVEY! BEAUTIFUL REMODEL, OPEN FLOOR PLAN, BARN DOORS TO STUDY OR 4TH BEDROOM, LARGE MASTER CLOSET, NEW WINDOWS THROUGHOUT. THREE LIFETIME TRANSFERABLE WARRANTIES ON FOUNDATION, TWO ON THE HOME FROM ATLAS AND ONE ON THE GARAGE FROM BONILLA. ALL NEW PLUMBING BENEATH HOME, GALVANIZED PIPES REPLACED. APPROXIMATE COST $20,0000. Home is currently leased through the middle of September. Must give notice for showing. 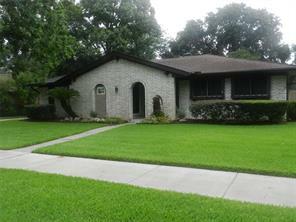 Come and see this remodeled 4BD 3BA home on a large lot with great landscaping. The house has great drive up appeal with mature trees & the exterior is painted to today's modern taste. Walk into a meticulously maintained home where the kitchen has been updated and boasts granite countertops, custom cabinetry, gas cooktop & SS appliances. Check out the bar as an added feature of this unique kitchen. Hardwoods and carpet line the floors as the walls are painted with light and bright neutral paint. Overall the house has a great layout, an open floor plan, recessed lighting, vaulted ceilings, built ins, upstairs bonus room, & has a spacious backyard with a storage shed. Walk to shops, restaurants and shopping. The home has never flooded. 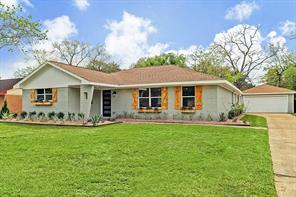 Charming 4 bdr/2 bath one story home has been extensively remodeled with many fabulous updates throughout. Residence features an exceptional open floor plan that transitions seamlessly wonderful for living and entertaining. The island kitchen is equipped with stainless appliances and features an abundance of beautiful wood cabinetry, under cabinet lighting, gorgeous granite counter tops and breakfast bar. Spacious living room features gas log fireplace, crown molding and recessed lighting and opens to additional playroom/gameroom area with laminate hardwood floors. Luxurious master suite! Two car garage has been converted to bonus /extra room with full bath. Driveway gate. 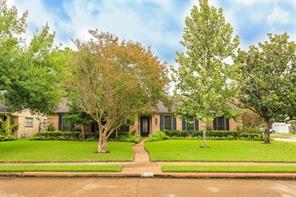 Ideally situated on a spacious lot with lush landscaping in desirable Maplewood. NEVER FLOODED PER SELLER. MUST SEE! NEVER FLOODED! 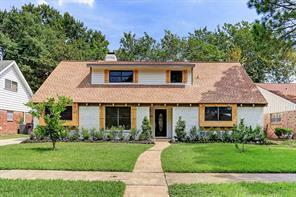 This desirable Maplewood South home was not affected by Harvey! Lots of recent updates: Plumbing entirely replaced w/ PEX piping, low-E insulated windows, ceiling fans, crown molding, cedar closet, custom blinds throughout & fresh interior paint. Kitchen has granite countertops, custom designed tile backsplash, 5-burner gas range, built-in microwave, glass front cabinets & storage/counters galore. Custom built-in cabinets in den. Wide plank wood flooring throughout. Master suite is complete w/ dressing room that includes custom shelving, cabinets & lighting as well as his & her closets. Renovated master bath & hall bath. w/ whirlpool tub & separate shower. Walk out of the den onto your covered patio & relax under the cool breeze of the patio fans. Sprinkler system in front/back yards. Easy commute to Med Ctr, Galleria, Museum District & Downtown Park & Ride. 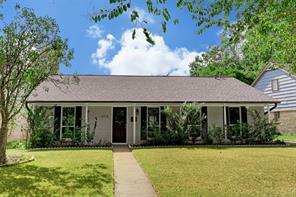 Easy access to bayou walk & bike trails! Move-in ready. Open the stained glass door to your new home! 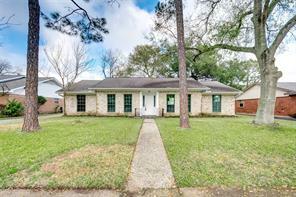 This beautiful home is a rare find with 2 masters on 1/3 acre in close-in desirable Westbury; did not flood during Harvey; not in flood zone; remodeled to the studs with new water lines and underslab plumbing; all new electrical wiring and panel; new double-paned low E windows; new roof and siding, new HVAC system and water heater; new insulation; new LED lighting throughout; all new stainless appliances with custom built shaker cabinets and designer granite in kitchen and bathrooms; master suite with huge double walk-in closet, separate soaking tub, frameless glass shower, and private water closet; kitchen is open to living area with a massive granite dining island; wood floors throughout; foundation repaired w transferable warranty and engineer's report; new sidewalks, driveway, and patio; new garage doors and openers; bonus storage room in garage; easy access to Uptown/Galleria; 15 minutes from the Med Center. This 4-bedroom and 3.5 bathroom home is built on a gigantic 15,070 Sq-Ft lot. The house has been remodeled and upgraded from top to bottom. A gourmet kitchen featuring an island, quartz countertops as well as new stainless steel appliances. The master bedroom has his & hers walk-in closets with a large master bathroom equipped with a freestanding tub, separate shower, and double sinks. Additional amenities include all new double pane windows throughout, new light fixtures, new floors and carpet, new doors and an indoor laundry/utility room. This great property is located in a pastoral subdivision near BraeBurn Country Club, parks and shopping with easy access to major highways. DON'T MISS OUT ON YOUR DREAM HOME, SCHEDULE A SHOWING TODAY! PRICED TO SELL! This spacious property is located in Maplewood South. Property NEVER FLOODED *per seller. The house has a formal layout with high ceilings, wood burning fireplace and spacious living area. The floors are engineered wood and the functional kitchen has corian countertops and a built-in refrigerator. There are four bedrooms with one that can be used as a library/study/office. The master bathroom is expansive with a large jetted tub, standing shower and his & her sinks. The pool will be a refreshing break from the long Houston summer heat! 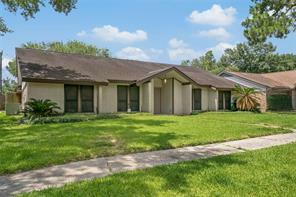 The property is located just minutes away from Meyerland Plaza, the Galleria and the Medical Center. Single family home that contains 2,308 sq ft and was built in 1960. It contains 3 bedrooms and 2 bath room. Lots of trees and a big fenced in back yard. Nice long driveway and 2 car garage. Inside lots of space with big rooms and pretty wood floors. Gorgeous Totally Remodeled Home . Open Floor Plan Concept. 3 Bedrooms, 3 Full Baths, 2 Car Garage . Extensive Updating throughout this beautiful property . Hardwood Flooring , Granite Counter tops in Kitchen and Bathrooms, Stainless Steel Appliances. New A / C and Heater units . 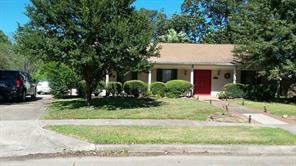 Great Location close to the medical center and shopping areas. Come and see it !!! 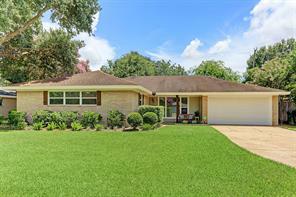 Completely remodeled, gorgeous home in the wonderful Westbury Subdivision. 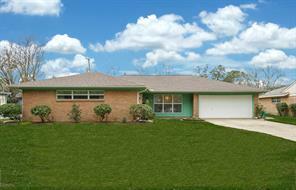 This 4 bedroom, 2 bath home features spacious rooms & nice and light colors. Throughout the home you have new flooring, paint, counter tops, fixtures, & appliances. The kitchen has beautiful stainless steel appliances, stunning backsplash & opens to living room. 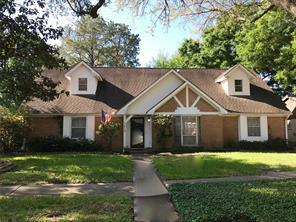 Large upstairs master w/carpet flooring, walk-in closet, ceiling fan & a master bath to die for. 3 amazing guest bedrooms & 1 full bath downstairs and French Door access to a backyard is great for entertaining. Did Not Flood! Expectations are exceeded by the unexpected elegance, charm and sleek features of this completely upgraded turnkey home, in one of Westbury’s premiere locations. 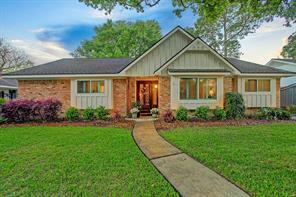 Traditional 1 story, all brick, ranch style home with contemporary flair throughout the open and bright interior. Entertaining is a joy as guests are greeted by a North facing slate covered front porch, airy and bright flowing interior and a huge outdoor patio with pergola and plenty of yard for a play set. Recent upgrades include: light colored granite counter tops, custom white cabinetry, stainless steel appliances, under slab plumbing, PEX piping, roof, child safe cordless blinds, energy efficient doors, windows & HVAC. North/South orientation adds to energy efficiency. Never fear a power outage during a storm! There is a natural gas-powered Generac whole house generator that will keep you comfortable during any potential power outages. Owners were heart broken when relocated out of the area! Situated on an 8,400-square-foot lot in the heart of Westbury, you find this reimagined home by Tracy Design Studio. Warm, modern finishes highlight this three-bedroom, two-bathroom residence. A dynamic master suite features sitting area, walk-in closet, marble paneled shower, and Delta plumbing fixtures. The easy floor plan flows seamlessly from living room to dining room to the open chef’s kitchen with a 9’x5’ island, new stainless-steel appliances and custom built-in’s. An enormous grassy yard accessed through French doors provides endless entertainment options throughout the year. Home was completely modernized in 2017 with new roof, plumbing, and electrical. No Harvey flooding. NEVER FLOODED! Room to live and entertain! Tastefully renovated Parkwest home located on quiet street, walking distance to neighborhood park, pool and brand new Parker Elem! Newly completed update features open concept floorplan with spacious den, gorgeous dining w/beautiful lighting, French doors to private home office. Huge white island kitchen with granite and modern hand scraped hardwood floors throughout. Den opens to covered back patio. You don't want to miss seeing this home! 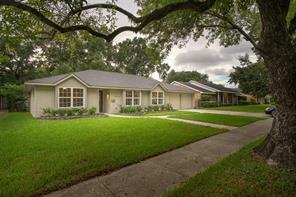 Stunning 4 bed 2.5 bath Mid-century home with many recent upgrades! Hardwood floors throughout, New double pane windows, New plumbing fixtures, new water heater, Aluminum Roof, custom built solid wood cabinets, Stainless Steel appliances Gas Cook-top, LED lighting, Contemporary Curved and Vaulted ceiling in living room, Low maintenance backyard/patio area, double sinks in master and hall baths, Granite counter-tops, and much more! NEVER FLOODED! 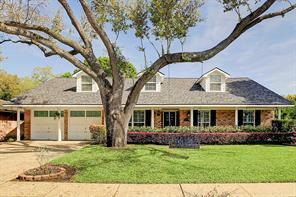 Greeted by beautifully designed landscaping & mature trees, this charming home is nestled on a quiet street just a short stroll from Westbury Park & the new Parker Elementary. 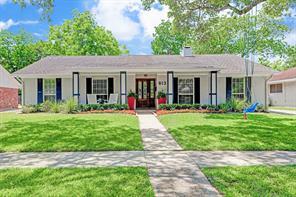 The home boasts original hardwood flooring throughout, recessed lighting & plantation style shutters. Master bedroom w/ updated bath features double sinks & large walk-in shower. The kitchen comes complete w/ granite countertops, built-in storage & cozy breakfast nook. The generously sized family room located off the kitchen overlooks the tranquil backyard & patio. Interior laundry room & large cedar closet. Short commutes to the Medical Center, Galleria & Downtown. *Home is located in the 500-yr flood plain & has never flooded. *Per Sellers. Impeccably reimagined home! From the tiered ceilings to the wood flooring in every room, no detail was overlooked in this 3 bedroom, 2 bath brick abode. The state of the art kitchen boasts marble countertops & a stunning glass tile backsplash. The SS appliance package includes a farmhouse sink, a side-by-side refrigerator, a smooth surface range & an over-the range microwave. The luxurious master bath retreat spotlights an oversized shower & dual sinks. Not to be outdone, the secondary bathroom also has marble countertops & dual sinks. All the windows are double paned & feature custom blinds/shades. You'll love the open floorplan w/ the kitchen opening up to the living & dining areas. The living room French doors lead to the covered patio - perfect for 'al fresco" dining. The expansive backyard has plenty of room to install a pool. Walk to Parker Elementary, a National Magnet School of Distinction, & Meyerland Performing and Visual Arts Middle School. 5434 Kinglet has never flooded. Custom home in a quiet neighbourhood. Lots of updates, new appliances, fridge, dishwasher, gas range with convection oven, HVAC, water heater, new driveway, and double pane/double hung windows. Home also includes a sprinkler system in the font/back yard..
NEVER FLOODED !!! * PER SELLER* ORIGINAL OWNER* ESTABLISHED MAPLEWOOD SOUTH. WARM TRADITIONAL-COLONIAL CLASSY HOME WHERE YOU CAN BRING YOUR PERSONAL CREATIVITY AND ENJOY THE HIGH-END UPDATES ADDED BY THE SELLER. FABULOUS TREES, TRANQUILITY GARDENS WITH FLAG STONE WALK. HUGE COVERED 26' x 20' GLASS COVERED SUNROOM WITH FLAGSTONE OVER SLAB FOR RELAXING OR ENTERTAINING, COMPLETE WITH WET BAR - A LOT OF POTENTIAL FOR THIS UNIQUE ADD-ON. HIGH CEILING IN DEN. WONDERFUL FULL LENGH BAY WINDOWS IN DINING AND BEDROOM. FORMAL LIVING AND DINING PLUS DEN. UNIQUE UPDATES INCLUDE - DESIGNER CEILING FANS AND A WALK-IN TUB. LEADED GLASS DOORS FRONT ENTRY AND TO SUNROOM. CEDAR CLOSET STORAGE. LOTS OF WINDOWS AND STORAGE. SOME MID-CENTURY TILES AND GRANITE IN BATHS. 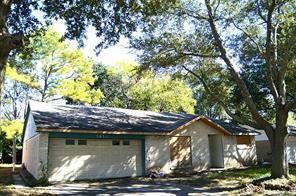 CARPORT AND OVERSIZE GARAGE FOR PLENTY OF PARKING. NICE PATIO IN BACK FOR COOKING OUT AND COVERED PORCH IN FRONT FOR VISITING. SPRINKLERS. LARGE LAUNDRY WITH EXTRA SPACE. 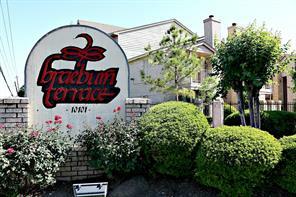 YOU WILL LOVE THE QUIET, CONVENIENT LOCATION FOR COMMUTING AND SHOPPING. 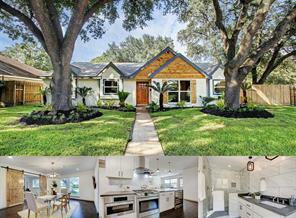 Beautifully remodeled Westbury home. 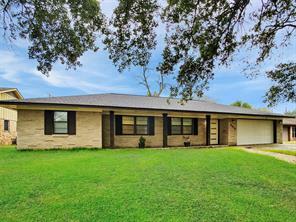 This 3 bedroom/2 bath brick home has an open floor plan with lots of natural light. 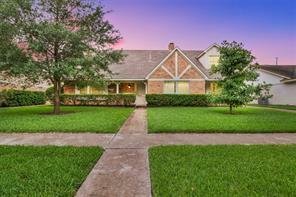 Walk to state of the art Parker Elementary, park & pool & Meyerland Middle School. Foundation work done with a lifetime transferable warranty, garage was lifted & new foundation was poured, PEX water lines inside & out, electrical updates, attic insulation, windows, fresh paint. Kitchen & baths gutted & new soft-close cabinets & drawers installed with gorgeous granite in the kitchen & sleek Crema Marfil in the bathrooms. Marble flooring in the entryway. New patio cover installed with stamped concrete. BONUS: There are hardwoods under all of the carpet. Mature landscaping & large 11,050 lot completely fenced with electric iron gated for privacy and security. 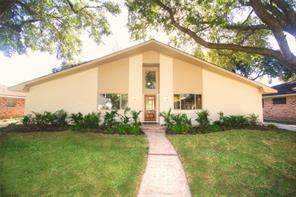 Convenient location; easily accessible to Meyerland Shopping Plaza, Medical Center, Galleria, Reliant Stadium, Downtown. This property has never, ever flooded! Great home in a popular neighborhood! BEST VALUE! 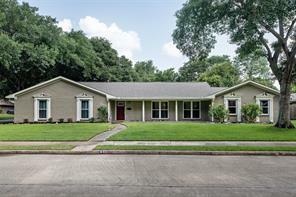 You’ll fall in love with this gorgeous single family home located minutes from the Galleria and Downtown. The house is NOT located in the flood plane and has NEVER FLOODED. 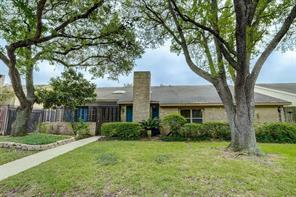 Located in the highly desirable Westbury neighborhood with award winning schools and parks. Home was fully renovated from top to bottom. It boast a spacious kitchen with white quartz counter tops, huge peninsula with seating area, soft closed cabinets and drawers, new fixtures, and new stainless steel appliances. Original hardwood flooring throughout, master walk-in closet, and an amazing en-suite that will make you think you are at a spa. Laundry room in home. New windows. Foundation repair in 2017 with full warranty. Smart & Stylish traditional home in Maplewood South. 3 bedrooms and 2 baths. Gorgeous leaded glass and solid wood front door. Hardwood floors throughout the living areas. Formal living and dinings room can be used for a variety of purposes. They both have wood plantation shutters overlooking the front yard. Updated kitchen with stainless appliances, apron sink, double ovens, and glass subway tile. The den has a vaulted ceiling with wooden beams and glass French doors that overlook an incredible covered patio. This home has great space to entertain both inside and out. Three bedrooms all have great closet space plus additional hallway closets and cabinets. Both the master bathroom and secondary bathrooms have been tastefully updated by the seller. Master suite has two walk-in closets. Bonus/flex space makes for a great office, playroom, or second den. Outside offers a large backyard with mature landscaping, huge covered entertaining area, and an automatic driveway gate. A must see! 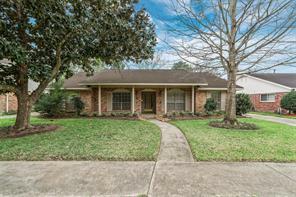 A beautiful Never Flooded per owner updated traditional one story home in Maplewood South Subdivision of Houston, Texas is now available. The residence has four bedrooms, two and 1/2 bathrooms, a large open back yard and two car garage.The Foyer has beautiful Terrazzo flooring that flows throughout the large den, kitchen , breakfast area and laundry room. The den has built in cabinets, recessed lighting, a wall of windows to the backyard and skylights in a vaulted ceiling for additional natural light. 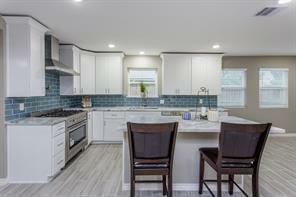 The remodeled kitchen is open to the den and features quiet close cabinets, granite countertops, stainless steel appliances, a breakfast area and a pocket door to the dining room. 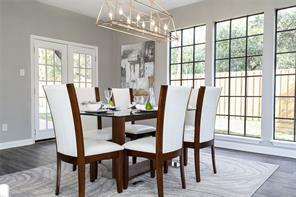 The connected dining and living rooms have gorgeous hardwood flooring and recessed lighting. The master bedroom has been updated with recessed lighting, built in cabinetry and tile shower. The second bathroom has also been updated. The home also has energy efficient windows with solar screens. Spacious home on a quiet cul de sac. 4 bedrooms, playroom upstairs, formal living room with fireplace and french doors to the den. Huge dining room and large kitchen area. New HVAC, new pipes, new roof and new salt water pool. Ample backyard with many amenities. Never flooded. 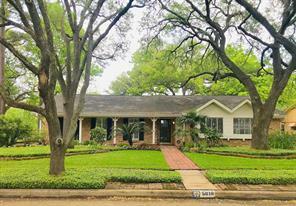 This Westbury large corner lot,with gracious mature trees & pool,is a gem. The home’s floor plan is great for entertaining & daily life. Living Room,off the entry way,with hardwood flooring,beautiful wood paneled fireplace & glass paneled French doors leading into the generous sized Kitchen. The Kitchen has a sitting area,granite countertops,breakfast bar,wine rack,silver closet, & is open to the Den. Oversized utility room,is between the Kitchen & 2 car Garage. Dining room has a unique ship lapped raised ceiling & skylight & is open to the Family room,with a wet bar, large windows looking out to the pool, & half bath, easy accessible to the pool. The master has hardwood floors windows looking out to the pool & walk in closet. The master bath has granite counter top dual vanities, & a notable walk in shower. The 2 secondary bedrooms are a favorable size,with hardwood flooring & walk in closets. The hall bath has a shower/tub combo, & plenty of storage. Never Flooded. Come see it today! The house did flood. The house is been totally remodeled and looks brand-new. New kitchen, new bathrooms, new tile that looks like hardwood, must see house. What a beautiful lot, the backyard has a mature tree just waiting for kids to climb. BRAND NEW BLINDS PROFESSIONALLY INSTALLED. 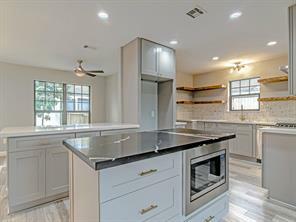 GORGEOUS REMODEL NEVER FLOODED- Location 15 minutes to Galleria and 15 minutes to Downtown/Medical Center and NRG. ABUNDANT NATURAL LIGHT!!! NEW ROOF, PLUMBING,NEW ELECTRICAL SERVICE, NEW WATER PIPING, AND NEW INSULATION. 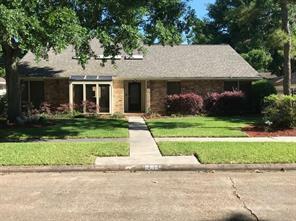 NEW HARD WOOD FLOORING, GRANITE COUNTERS, NEW CABINETS, NEW AUTOMATIC GARAGE OPENERS AND NEW FRONT DOOR. NEW KITCHEN- STAINLESS STEEL APPL- NO REFRIGERATOR AND BATHS. WHEELCHAIR ACCESSIBLE RAMP. Open floor plan from kitchen into living/ dining and a den for extra entertainment. 3 bedrooms and 2bath.. Walk-in shower in master. Schedule a tour with your agent today to say hello to your new home! Your new home in the well-established community of Northfield. This gorgeously renovated 5/4.5 with a separate 1/1 garage apartment is an absolute gem! This home was ripped to the studs with even most of those being replaced. The closest you can get to a luxury new construction for a fraction of the price. As you view the photos, you can see that this is not your average cookie-cutter flip. With marble accents, open floor plan, high-end trim & crown molding, wood floors, and updated garage apartment, you'll have it all. NEVER FLOODED! 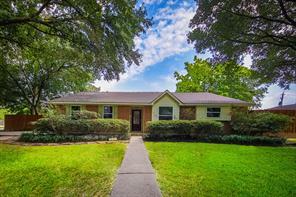 This desirable Maplewood South home was not affected by Harvey! Lots of recent updates: Plumbing entirely replaced w/ PEX piping, low-E insulated windows, ceiling fans, crown molding, cedar closet, custom blinds throughout & fresh interior paint. Kitchen has granite countertops, custom designed tile backsplash, 5-burner Bosch gas range, built-in microwave, glass front cabinets & storage/counters galore. Custom built-in cabinets in den. Wide plank pet friendly wood laminate flooring throughout. Master suite is complete w/ dressing room that includes custom shelving, cabinets & lighting as well as huge closet. Renovated master bath & hall bath w/ whirlpool tub & separate shower. Walk out of the den onto your covered patio & relax under the cool breeze of the patio fans. Sprinkler system in front/back yards. 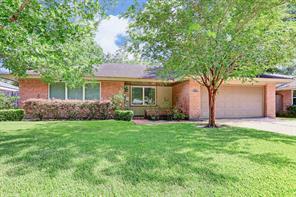 Easy commute to Med Ctr, Galleria & Museum District . 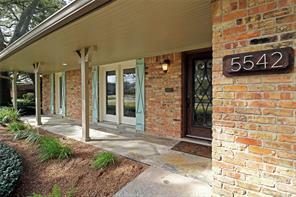 Easy access to bayou walk & bike trails! Move-in ready. Open the beveled glass door to your new home! WOW! Stunning remodeled home with high-end updates and a large backyard with a pool. The house did NOT flood during Harvey or any other time in the past, per seller. This home features an open concept, spacious living and game rooms, gorgeous kitchen, plus a relaxing pool on large corner lot. The many fabulous updates include 40-year Pabco shingles, low-e double pane windows with lifetime warranty, breaker box and significant wiring, all newer flooring, granite counter tops, new kitchen cabinets with soft close as of 2017, ss appliances, LeafGuard Gutters plus much more! 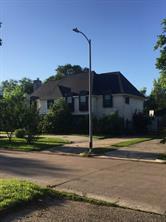 Location.Close to the Galleria, Downtown and Medical Center. Don't miss this opportunity to show the best house in the area! Your clients will enjoy the amazing updates, location and large pool with backyard area too! This home is amazing and ready for your family. Don't Miss This One!!! A must see, schedule your showing today! Get ready for summer fun in this contemporary home with an amazing POOL located in the highly sought after Westbury area! Great curb appeal w/ recessed dimmable down-light illuminating home w/contemporary one-light panel door, large window & new driveway. Open-floor concept features porcelain accent wall surrounding large window. Recessed dimmable LED lighting throughout & security system. 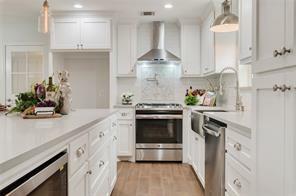 Chef's dream kitchen features under-cabinet lighting & plugs, custom two-tone cabinetry w/better than granite natural Quartzite counters, designer glass backsplash, SS appliances μch more! MB has his/her closets & en-suite bathroom w/marble shower that includes glass sliding door. 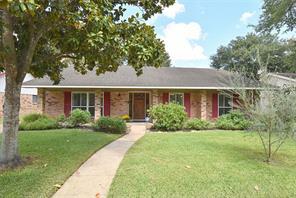 Guest bathroom has marble surround tub & large vanity w/ lots of storage & marble counter.HUGE landscaped backyard includes recently resurfaced pool w/ updated equipment & repainted pool decking & fabulous custom built pergola & entertaining deck w/like new surround fence. This home is a MUST-SEE!NEVER FLOODED Per SELLER! 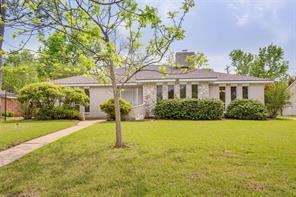 It does exist...a Westbury home with 4 bedroom with a separate office space, open kitchen and mud room with a 20 minute commute to the Medical Center, The Galleria and Downtown. A 700 square foot addition by Legal Eagle Contractors created this customized kitchen that opens to the living and dining space. You will love the large utility and butlers pantry that occupies the former kitchen space. The master bedroom has the rare feature of his/her closets and well appointed on-suite. 3 additional bedrooms with neutral tile floors and walk in closets. The family and breakfast rooms have large picture windows that fill the space with natural light. The patio is the full length of the home and has a built in gas line for your grill that creates an additional entertaining space for this home. MOTIVATED SELLERS, BRING ALL OFFERS! 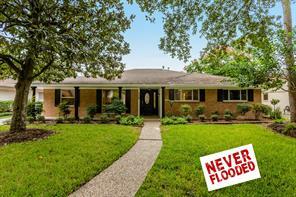 No Flooding on the property or into the structures during Harvey per Seller. Renovated and lovingly cared for. One of the largest three bedroom homes in Maplewood South, with a game room! Granite countertops throughout, stainless steel appliances, custom cabinets. Large master bedroom with walk-in closet. Updated master bath with DOUBLE RAINFALL SHOWER and two sinks. BONUS GAME ROOM with custom built-ins – HOME THEATER/PROJECTOR with all accompanying media equipment STAYS WITH HOUSE! Dry bar with wine refrigerator is the perfect place to relax and entertain. Water heater replaced and recent exterior paint (2016). New landscaping and curb/driveway repair, leafless gutters and automatic sprinkler system with new control panel (May 2018). Hardwood floors refinished (sanded, stained, waxed, etc) in June 2018. All information is per Seller. 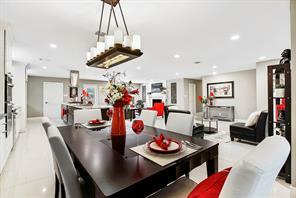 ***Home did not flood*** Totally today's lifestyle with a contemporary flair! The heart of the home is the beautiful, open and light living/dining room and kitchen that features a fantastic oversized granite topped island, granite counters, stainless appliances. Upgrades GALORE Renovation completed this year, ductwork, electrical, interior plumbing, fixtures and more! Large closets generous sized master bath. Located just a few miles away from the medical center and the Galleria. Call to schedule your appointment today! Never Flooded! Don't miss this opportunity to own stunning renovation in Westbury! 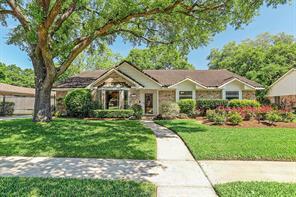 Polished 4 bedroom sits on gorgeous lot and is zoned to award-winning Parker Elementary. Check out this spectacular list of new updates: Quartz kitchen counters, exterior and interior paint, crown molding, energy efficient vinyl windows, garage door and opener, interior doors, patio French doors, indoor utility room with barn door, wood like ceramic tile throughout the entire house, including closets and bedrooms, custom kitchen cabinets, Carrera marble bath counters and undermount sinks. Master features oversized frameless glass door shower, all new lighting and plumbing fixtures, exterior LED lighting. Kitchen features USB wall outlets, under cabinet lighting, stylish glass tile backsplash, recessed can lights, stainless steel LG appls including refrigerator with warranty, electrical panel, gutters, recent privacy fence and blown attic insulation. Spacious backyard w/patio! Minutes from park and pool! Never flooded. Known as "The Giveaway House," this impeccably restored mid century modern home was featured in the 1959 GHBA Parade of Homes. 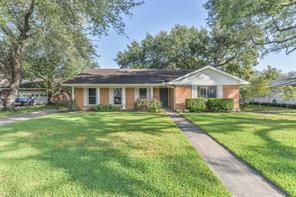 Uniquely designed 3 bedroom 2 bath home is located in Westbury 3 subdivision of Brays Oaks. Features of the home include cork & tile flooring, open floor plan, vintage wooden folding room divider & custom built in shelves. Nearly everything is restored & period-correct to the vintage of the house, including most appliances. Many other updates, including sub-slab PVC plumbing & hot water heater. Commercial grade 20 year TPO roof with warranty. Features of the kitchen include Aquamarine Formica counter-tops, uniquely designed island with gas cook-top, double sink, dishwasher & cabinets. Tiki bar with seating space. Rear Master bedroom features a frame-less glass walk in shower. Outside boasts spacious fenced in back & side yard with storage, 2 separate 1 car garage & covered porch. Schedule your showing of this perfectly priced home today!! Stunning Traditional updated 4 bedroom home. Never flooded as per seller. Kitchen includes Bosch appliances, granite countertops and travertine floors. Refinished original oak flooring through-out home. Large master bedroom w/en-suite bath. Beautiful back patio has pergola and outdoor kitchen with built-in gas grille & refrigerator. Perfect for entertaining and patio looks onto beautiful landscaped backyard. Other updates include 14 SEER HVAC, pex plumbing in remodeled areas, water heater, sewer system, breaker panel, windows, whole house generator, gutters, blinds, front door, fence and sprinkler system. This house has it all with meticulous attention to detail. Conveniently located and easy access to US69, Galleria and Medical Center. NEVER FLOODED! 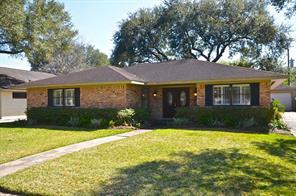 Charming 3 bedroom, 2 bath home with great curb appeal in Parkwest! Huge kitchen is open to the living room with granite counters, stainless steel appliances, and breakfast bar. Gorgeous hardwood floors throughout. Both formal dining and formal living room could make a great office or playroom. Master bedroom with white subway tile shower, navy and white vanity and walk-in closet. Recent updates include double pane windows, French doors, recessed lighting, backyard drainage, leaf guard gutters, water heater, and new back fence. 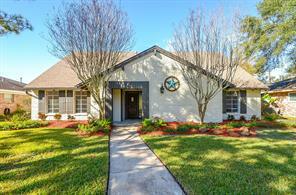 Fantastic location zoned to brand new Parker Elementary! Beautiful, well maintained 3 bedroom 2 bath with spacious back yard in Westbury Sec 1. New Kitchen, New plumbing (PEX piping), energy efficient windows, new insulation in attic, new AC, Water Heater, back patio and drive way, fresh paint throughout. Zoned for Kolter Elementary. GREAT Location!! Ready to move in! 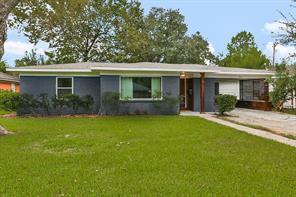 Mid Century Modern 3 Bedroom, 2 Bath formal living and dining with vaulted ceilings. Spacious Floor plan with walk in closets. 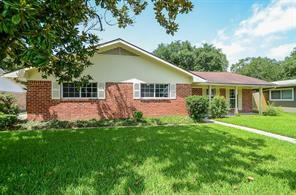 Home features Granite Counters, newer SER A/C, Low E Insulated Windows. TPO Roof for great energy efficiency. Laminate Wood and Tile Floors throughout. Convenient Access to Medical Center and Galleria. Home Never Flooded per owner. Oversized landscaped corner lot in the heart of Westbury. 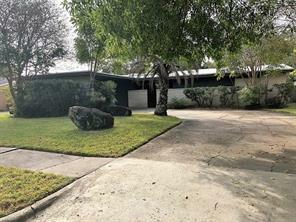 This impressive Mid Century Modern was renovated in 2016 and boasts a beautiful sense of openness and captures the best of the old with today’s amenities! Upgrades include Pex water lines, HVAC, duct work, Hardiplank siding, study with additional built-ins, 30 year shingle roof, custom cabinetry, granite countertops, Jeldwin Low-E windows, new paint in & out, red oak hardwood floors, 200 Amp electric panel, water heater and much more. Designed in todays colors with open concept kitchen and family room. 3 bedrooms plus a study! 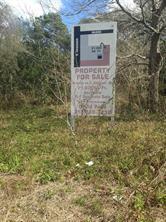 Not located in 100 year floodplain and never flooded per seller. Minutes to Loop 610, Fort Bend Tollway and regional shopping. Galleria, Greenway, NRG all within 7 miles. Jim Assad & Assoc., Inc. 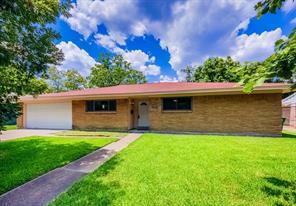 Wonderful remodeled 3 bedroom, 2 bath home is ready for you to move right in! You will love the versatile, open floor plan. Rich hardwood floors flow through living and bedroom areas. Large windows bring in lots of natural light. The kitchen features stainless steel microwave, dishwasher and gas range/oven. Fabrication of counters is unknown but appear to be a quartz type material. Great storage with new cabinets and pantry. Builtin window seat enhances the breakfast area. Both bathrooms have been updated with an oversized shower in the master. Sliding glass doors open to a huge back yard. Driveway was redone. Never Flooded. Current dryer included with sale is gas. A must see! 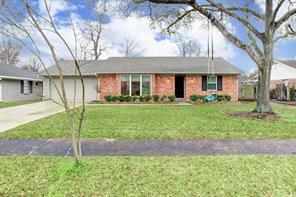 Amazing, remodeled 3 bedroom, 2 bath home in the wonderful Westbury Subdivision. 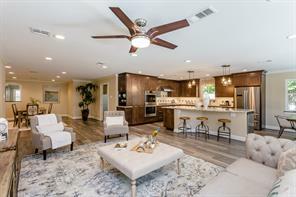 This home boast new modern tile flooring in both formals, family room, entry & kitchen, plush paint throughout, gorgeous counter tops, brushed nickel fixtures, & new appliances. Home features spacious family room, w/double doors to back yard, a gorgeous kitchen w/stainless steel appliances, tan granite countertops, stunning black backsplash & opens to living room. Large master w/new carpet flooring, walk-in closet, ceiling fan & the master bath features a single sink, built-ins and large shower. The 2 additional guest bedrooms are spacious w/ceiling fans, & new carpet flooring. The backyard is large enough for a pool and room are the family to entertain. It's a must see!!!! Never flooded. 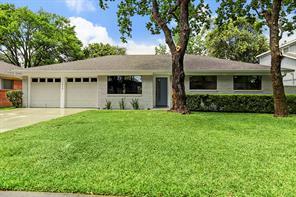 Beautiful Westbury ranch style house, completely remodeled. 15 minutes for Medical Center/Downtown, and Galleria. Great natural lighting from the new windows and professionally installed blinds. NEW ELECTRICAL, PLUMBING, AND HVAC ALL BROUGHT TO CODE! Electrical sockets are tamper proof. Open concept living room with an added office. Quartz countertops and new cabinets throughout. Set up a showing today! Beautiful home with plenty of room and storage. It sit in a small established neighborhood not not has a private pool but also a community pool, clubhouse and tennis courts! No flooding history in this beautifully renovated home! You are sure to fall in the love the moment you step inside! It is zoned to the highly acclaimed Parker Elementary with its new campus & music magnet program. The home sparkles with gorgeous hardwood floors, abundant recessed lighting and bright, replaced double pane windows throughout. Entertaining is a delight w/ a large formal dining room, open den and kitchen/ breakfast area plus a lovely covered patio. The white kitchen touts updated cabinets, farmhouse apron sink, quartz counters w/ glass tile back splash and stainless appliances. There is an exceptional walk in utility room! The master bedroom features a walk in closet and an updated bath. A "furniture style" granite vanity and beautiful tile with accent trim highlight the master and hall baths. The back yard is huge and features raised vegetable and herb gardens along with the slate covered patio. A very sweet home in a very sweet and friendly neighborhood! 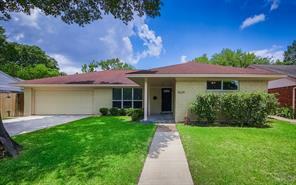 Stunning 4 bedroom 2 bath home in the Westbury Community! This home has a great open layout with all the updates! Amazing finishes including engineered hardwood floors, marble countertops, and energy efficient low E double pane windows too! Your master suite is your spa getaway! A gourmet kitchen with subway tile backsplash, shaker style cabinetry, stainless appliances, gas cook-top and pot filler. 4th bedroom currently being used as a study. 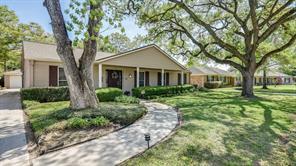 An amazing yard front and back with mature shade trees finish off this Westbury property. NOT IN FLOOD ZONE, AND THIS HOME HAS NOT FLOODED! Call for an appointment today! Property is still under construction. Temporarily no showings. The house has been raised 18 inches and is above the flood plain. This home has 3 Bedrooms, 2 full baths and a converted garage that can act as study/office or 4th bedroom. Treed backyard with outdoor patio. Home is conveniently located in the highly sought-after Westbury neighborhood, near schools, major highways for easy transportation, and shopping/dining. Pictures coming soon! 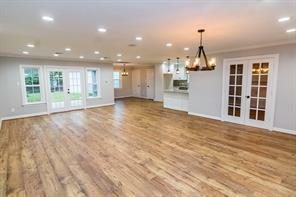 This beautifully taken care of 5 bedroom home in Maplewood South DID NOT FLOOD DURING HARVEY! Home comes with a gorgeous pool to entertain friends and family. 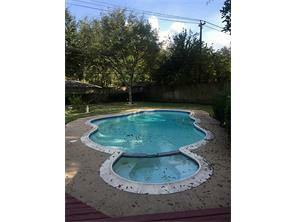 Pool comes with a diving board, and the backyard has a partially covered patio/deck. Two bedrooms on the 1st floor and 3 bedrooms on the 2nd floor. Electrical service panel upgrade in 2017, new roof and decking July 2014, A/C and water heater upgrades in 2011. Recent carpet and dishwasher, and new stainless steel double oven. Living room has a corner brick fireplace, with direct access to the rear patio via double french doors. Two car detached garage with a breezeway connecting it to the home. 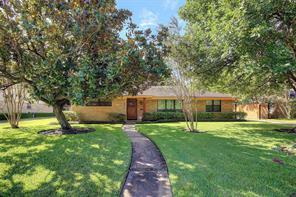 Great access to the Galleria, Medical Center, 610 Loop and more. 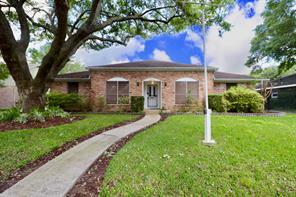 Excellent location near Braeswood, with no rear neighbors, only the parking lot of the middle school. *Current yearly flood insurance policy of $556 may be able to transfer to new buyer before closing, ask agent for details. OPPORTUNITY BUY!! This gorgeously remodeled home in the heart of the established Westbury community is a home buyer's dream! Professionally remodeled from the studs up, this home is class through-and-through. From the elegant quartz countertops, to the wood tile flooring, and everything inbetween, you will see and feel a home that has been crafted to maximize natural light and make use of every square inch of floorspace! The highly regarded schools, the large corner lot, the old-growth trees, and the low taxes make this a financial slam dunk as well! Schedule your showing today and be amazed! No flooding in Harvey! Home is tenant occupied until September 14. This home was fully renovated to the studs in 2015 and has been improved with an electric driveway fence and extra insulation in the attic. Modern open concept kitchen/dining/living. New windows, doors and fixtures. 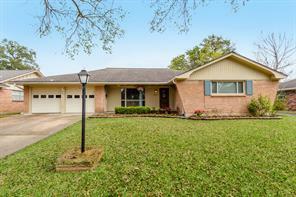 Great home with easy access to highways, Med Center and Galleria. Come and See!! 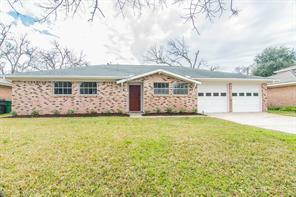 Updated ranch style home, that has never flooded! This charming and quaint single story home is completely updated; ready for you to move-in and immediate fall in love with! With new electrical panel, new pex plumbing, new HVAC and Condenser, and featuring new Low-E insulated windows, recessed lighting, crown molding, flooring (Engineered wood floors and carpet in bedrooms), updated bathrooms and kitchen! All new cabinets with quartz countertops! Corner lot, with added 8 ft. perimeter fence giving you great privacy! Home is walking distance to the elementary. 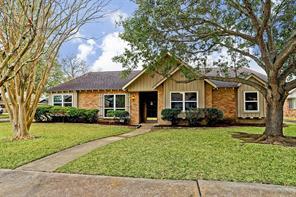 Rutherglenn Ranch is conveniently located in the SW Houston area, where you are near major Highways, the Medical District, NRG stadium and complex, Museum District, Downtown, Galleria, Restaurants, and plenty more!! Also, very easily accessible to the Bayou's trails! What are you still doing reading? Schedule an appointment to see for yourself! HIGH AND DRY! NO HARVEY DAMAGE! This beautifully remodeled home includes numerous upgrades like an updated open concept kitchen with granite countertops, large kitchen island, solid wood cabinets, and stainless steel appliances. 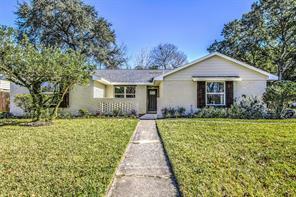 The rest of the house features fresh paint, tile and laminate wood flooring, and updated bathrooms with tiled showers. You'll love this floor-to-ceiling fireplace! Tastefully and Professionally Updated Traditional. Features Gleaming Hardwood Floors Through Out the Formal Dining, Formal Living, Master Bdrm,Bdrm Hallway, and additional Bedrooms. Newly Renovated Kitchen Boasts Light Gray & White Granite Counter tops, White Subway Tile Back splash,Shaker Style Cabinet Fronts, Stainless Freestanding Gas Range & Oven, Stainless Refrigerator(Remains), Stainless Above Range Microwave,Stainless Dishwasher, Great Prep Space!Staggered Stone Tile Floors through out the Kitchen, Breakfast, and Den Areas. Wood Burning Fire place, Four Sets of French Door Windows & Door to the Screened, Covered Patio(21x13)Screened Patio Outdoor living year round, perfect play area for children or enjoying the outdoors & Shaded Backyard..Spacious Master Bedroom & Updated Master Bath with Slate Tile Floors, Shower Surround, & Granite Counters. Hall Bath Travertine Tile Floors, Bath&Shower **This PROPERTY DID NOT FLOOD & IS NOT LOCATED in the 100 YEAR FLOOD Plain-**per Seller. Charming Traditional! Three with an extra space! Could be home office/study/ nursery! 2 Car Garage! Craftsman style front door! Large entry greets you with engineered wood flooring! 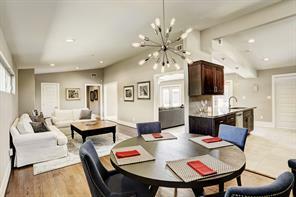 Super large living area/ dining room (finished with Block Wainscot and spectacular chandelier! Plantation shutters! Crown Molding! Fabulous kitchen with gathering island completed with upgraded granite, space for bar stools! Tons of cabinets with glass front doors (some)! State of the gas stove! Glass/wrought iron pantry door! Updated baths! Large living area with gas lit fireplace! Nice size lot! Two car garage! Close to Houston medical center. Did not flood *per seller. 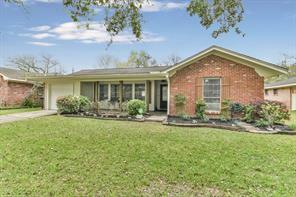 Lovely spacious house in the heart of Houston. Open floor plan , new laminate floors, updated kitchen & bathrooms. Carpet in bedrooms. Premium fixtures throughout the house. Cover patio in backyard is great for summer entertaining. Appliances included. Ready to move in and enjoy immediately . Easy access to major highways 17 minutes to medical center 23 minutes to downtown. 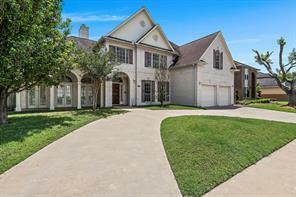 This WESTBURY home won't last long!! Fully renovated, this BEAUTIFUL HOME has it all. Brand new gourmet kitchen and gas appliances. Wood floors throughout. All Bedrooms and Bathrooms are fully remodeled. Energy efficient LED lighting throughout. Indulge in top of the line finishes while staying close to all the action. 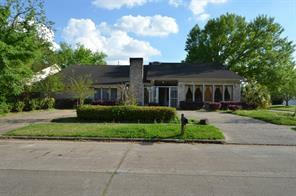 This home is only minutes to the Medical Center, Galleria, and Downtown. *Never flooded, not in a flood zone! * OPPORTUNITY ONLY KNOCKS ONCE!! Make your move today! Freshly painted, beautifully updated traditional with cathedral ceiling in Den, which is open to the Kitchen with granite counters and updated cabinets. Flexible formals can be used as you desire. Spacious Master has large walk-in closet, dual sinks and large stall shower. Updated Hall Bath serves two Guest Bedrooms. New PEX fresh water lines. No carpet in this home! Grand back yard has room for a pool, or a peaceful place to escape. Has not flooded! Come see this beauty! . Rare 4 bedroom/4 bath in Westbury! Gourmet kitchen with granite counters, stainless appliances perfect for entertaining. Spacious bedrooms with bathrooms attached. Rare garage quarters with bedroom and bath. Open backyard fully fenced with covered patio area. 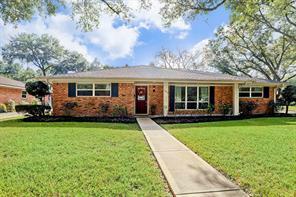 Amazing, remodeled 3 bedroom, 2 bath home in the wonderful Westbury Subdivision. This home boast new wide plank tile flooring in living room, entry & kitchen, plush paint throughout, gorgeous counter tops, brushed nickel fixtures, & appliances. The kitchen has beautiful stainless steel appliances, black granite countertops, stunning backsplash & opens to living room. 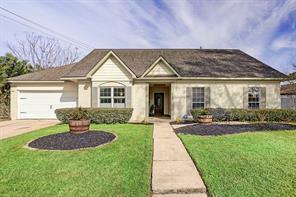 Large master w/new carpet flooring, walk-in closet, ceiling fan & the master bath features dual sinks, seamless shower, under bcabinet lighting and lot of storage space. The 2 additional guest bedrooms are spacious w/ceiling fans, & new carpet flooring. The backyard is your entertainment paradise. Located on a oversized lot, the backyard features a covered patio w/ceiling fan, built in gas grill, in ground pool, and plenty of room the kiddos to play. It's a MUST see!!! This is a completely remodeled home resulting from the effects of flooding from Hurricane Harvey. No detail was spared on the remodeling of this beautiful home from the rich porcelain wood like tile floors throughout the home to the updated appliances and Granite counter tops in the Kitchen & bathrooms. Also, Enjoy the spacious backyard this home offers for family gatherings both inside and out. Don't hesitate to call today & schedule your showing. 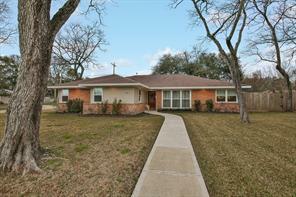 Super Cute 3 bedroom 2 bath home in Westbury. Home has NEVER FLOODED. Hardwood flooring in living, dining, hallways, bedrooms and tile in kitchen, family room, bathroom, and laundry room. Spacious backyard is adjacent to a green space/easment...so no back neighbors! This home's plumbing has been re-piped with PEX plumbing that comes with a life time warranty. Master bathroom has been beautifully updated. 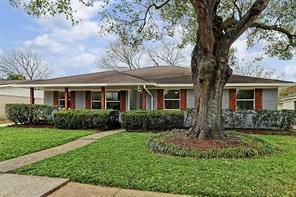 Great location and minutes to the Med Center, Galleria, and Downtown. Brand New Roof. 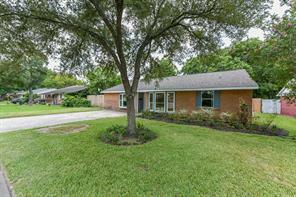 Zoned to desirable Parker Elementary School! 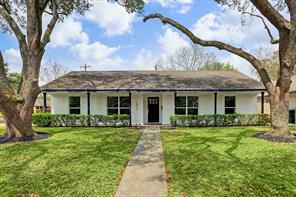 Amazing Opportunity to own a 3 bedroom-2 bath plus study- Huge Yard- completely renovated home in Willowbend/Westbury Area. Spectacular open floor plan feels and looks like new construction perfect for entertaining . Hardwood floors everywhere except tile in the bathrooms and utility room(no carpet). Kitchen has a large island plus stainless appliances & gas range! Recess lighting in the living room, kitchen and master bedroom. Granite on all counter tops. Both master bath and secondary bath are fully remodeled, light and bright. Ample storage. Huge back yard with large covered porch perfect for spending time outside in your very own private oasis. This home sits so high up it has never been touched by flood water. Beautifully remodeled and immaculately maintained this 3 bedroom 2.5 bath home features open concept floor plan with updates galore! 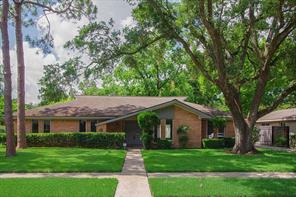 Granite counters, stainless appliances, travertine floors, Low E double-paned windows, recessed lighting, updated furnace, a/c system & water heater, new roof & gutters! This home has it all! King-sized master suite w/ sitting area & oversized walk-in master closet, updated bathrooms w/ glass shower doors and Jacuzzi tub! 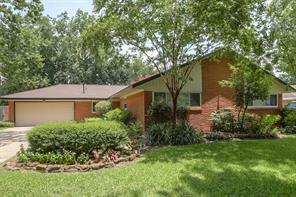 Lush landscaping w/ sprinkler system & lovely back patio perfect for entertaining. Home has NEVER flooded! 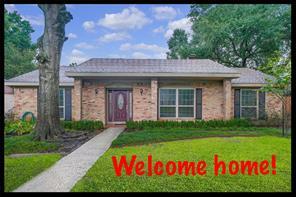 Welcome home to 5314 Stillbrooke Dr. located in the wonderful Westbury subdivision! This 3 bedroom 2 bathroom home features a large living room. Wood and tile flooring throughout most of the home! The beautiful kitchen features granite countertops, tile backsplash, stainless steel appliances, and built-in shelving. Dining area just off the kitchen perfect for family gatherings or hosting guests. Grand Master suite boasts wood floors and wonderful natural light! Master bath features dual vanities and walk-in closet. Two spacious secondary bedrooms with wood floors. Large extra room currently being used as playroom. Huge backyard with patio and mature trees. Make your appointment today this one will not last long! Charming 4 bedroom home in Maplewood South features updated kitchen and baths. Kitchen has granite, farmers sink, double ovens and pantry. Master with large walk-in closet, updated bath with jacuzzi tub with shower, granite counters, secondary bedrooms with walk-in closets in 2; 4th bedroom can be used as a study. Recent neutral paint, wood laminate floors in living areas. Den with corner fireplace. Plantation shutters throughout. Recent HVAC. No flooding, per seller. Community pool and park. Short drive to Texas Medical Center and Galleria. DID NOT FLOOD! 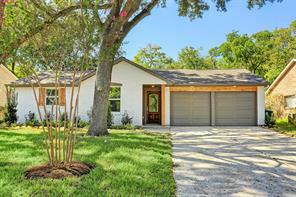 Stunning, completely remodeled home. Located in the HIGHLY DESIRED Maplewood South. This spacious home is completely updated, offers an open floor plan, gourmet kitchen with all new appliances, upgraded granite, all new cabinetry, and is PERFECT for entertaining. Oversized Master Suite showcases oversized walk-in shower with separate tub, oversized walk-in closets, double sinks, and upgraded granite. The most recent upgraded include roof, windows, beautiful tiled floors, mosaic backsplash, beautiful landscaping, and so much more! This home is sure to please even the pickiest buyers. This home is a MUST-SEE. BEAUTIFUL HOME IN A PERFECT LOCATION. HOME WAS REMODELED A FEW YEARS AGO WITH BRAND NEW STATE OF THE ART KITCHEN WITH WOOD CABINETS AND GORGEOUS GRANITE COUNTERS.FRESHLY PAINTED, NEW CARPETS, BATHROOMS UPDATED. A BEAUTIFUL PRIVATE POOL. GREAT OPEN FLOOR PLAN !! COME CHECK OUT THIS AWESOME HOME !! 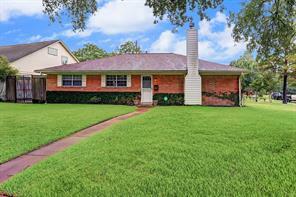 Fantastic over sized corner lot zoned for Bellaire High! NEVER FLOODED. Lush landscaping. 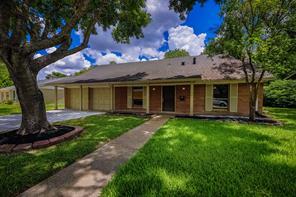 Great location with easy access to Medical Center, Downtown & Galleria. Entry open to versatile formal living/dining with original hardwoods & plantation shutters. Updated kitchen w/granite countertops, ample counter & counter space, moveable island with eat-in breakfast room. Den boasts fireplace, beams & built-ins. Bonus room with beautiful windows and French doors looking out to the back yard. Master features hardwood floors and stylish master bath. Master bath updated w/marble counter tops & walk-in shower. Hardwoods in secondary bedrooms. Large utility room inside home w/cabinets for additional storage. 2 car attached garage. Home has been owned by the same family since originally built. Welcome home to your spacious 5 bedroom home! As you arrive in your circle drive enter the home through your large custom wood door. You are greeted with custom tile work in the entry way. Your formal dining room to the right, and OVERSIZED living room or flex space to the left. Continue to the living room you will enjoy the two story ceilings. To the left of the living room another LARGE flex space! This space would make a great game room, prayer / meditation room, or yoga room! Your kitchen has been upgraded with granite counter tops. Continue upstairs and find your large oversized master suite, and 4 additional bedrooms. 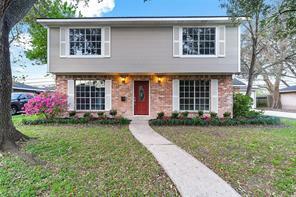 Completely remodeled, gorgeous home in the wonderful Meyerland Area. 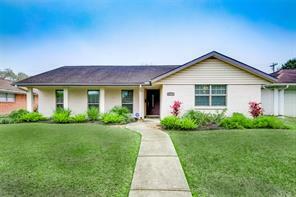 This 3 bedroom, 2 bath home features spacious rooms & nice and light colors. Throughout the home you have new flooring, paint, counter tops, fixtures, & appliances. The kitchen has beautiful stainless steel appliances, stunning white cabinets and gorgeous backsplash. Home also features both formals, amazing living room w/fireplace, large master w/French Door to back yard & a master bath w/single sink & seamless shower. The backyard is large and has a patio w/pergola. It's a must see!! Stunning Parkwest ranch remodeled to perfection! Located in the highly desirable Westbury neighborhood, this spacious home sits on a generous size lot providing ample space for entertaining, both indoors and out. Abundant windows pour natural light into every room. The elegant kitchen features crisp white cabinets, subway backsplash, granite island with breakfast bar, brick accent wall with double ovens, and top of the line Thermador dishwasher. Opening into the family room is a soaring cathedral ceiling and show-stopping modernized painted brick fireplace. The divine master suite presents a raised ceiling, massive sliding glass door to the large covered patio, 2 walk-in closets, and luxurious bathroom. Oversized garage with workshop/storage room is another added bonus. 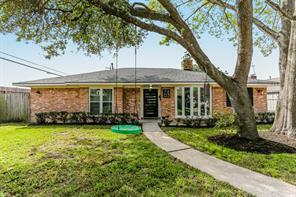 Minutes to the Medical Center, Galleria & Downtown. See attachment for full list of improvements. Schedule a private tour, see the beautiful features first-hand, and fall in love with your next home today! Spacious 5 bedroom home on a beautiful, quiet street in Northfield. Updated kitchen with granite countertops and stainless appliances. Ample storage in kitchen and throughout house. Two full bathrooms with double sinks and powder room. Well lit dining room opens to partially covered patio and spacious yard. Speaker/sound system integrated throughout the house. Layout great for entertaining. Home features double paned windows, an HVAC unit replaced a year ago and foundation work with a transferable warranty. All plumbing in attic updated to pvc. Home never flooded! A must see! Charming Maplewood South home, 4 bm 2 bath with a detached Garage Apartment in the back for family members. 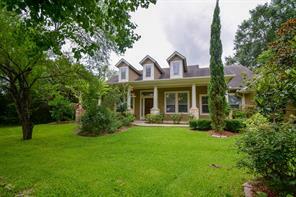 Great Location, Minutes to Galleria, Medical Center. Has NOT Flooded in the past. Currently Occupied by Tenants. Do Not Disturb. Home is for Investors only. Tenants wish to stay long term. 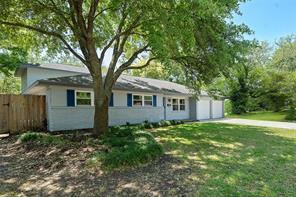 Check out this beautifully updated home surrounded by mature trees! There is all new flooring, ceiling fans and Ferguson lighting and fixtures throughout. Granite countertops in the kitchen and bathrooms. The formal living and dining rooms are spacious and have tons of natural light. The kitchen has new appliances, soft-close cabinets and is open to the breakfast room. The huge family room has vaulted ceilings with a back door to the shaded patio and backyard. The garage and backyard sit behind a gate which is perfect for keeping kids and animals in. The A/C unit has been replaced and repairs have been made to the foundation and the roof. This home did not flood. 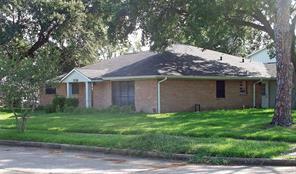 Great location with easy access to Bellaire, Galleria, West U and Med Center. Ready for immediate move-in! Priced to sell! HOUSE DIDN'T FLOOD! Completely remodeled ground up by area's most experienced and respected renovators. Interior stripped to studs and updated with the latest styles. Features include carrara quartz throughout, island kitchen, stainless steel stove/vent hood, office with double barn doors, pergola covered patio, new HVAC/duct work, custom cabinets, energy efficient windows, new electric panel with updated wiring, and new sewer lines/clean outs, and new drive way. Foundation and underground plumbing has transferable warranty. Come check out the house today! Charming, updated one story home in Parkwest/Westbury area - Home has 3 bedrooms, 2 baths, large front living/dining room, back den with French doors, kitchen, and breakfast room. Upgraded tile throughout home with wood look tile, and matching large Porcelain tile in den and living/dining room/kitchen/brk.room. 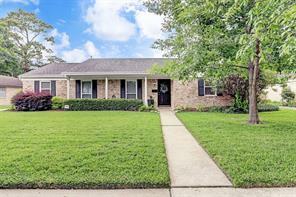 Home has been freshly painted, has tankless hot water system, large covered patio, landscaped beds, painted brick/new Cedar shutters, granite counters in kitchen/hall bath, oil rubbed bronze hardware, and all kitchen/bathroom tile has been updated. Clear mold certificate issued after remodel. Great location with easy access to medical center, downtown, etc. Enjoy the privacy and serenity in this enchanting back yard area.....grilling and outdoor dining is easy on this oversized, appealing back yard patio.....home is secured with electronic driveway gate. Come on HOME! 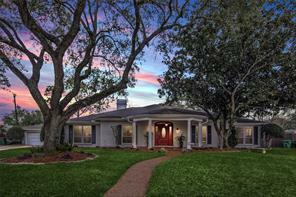 Sophisticated 4/3/2 home with Impressive landscaped front facade w/gated entry. Perfect home for entertaining, celebrating holidays & raising a family. Enter into soaring ceilings with a skylight above. Study features built in bookcases & wood burning fireplace. Grand Kitchen with 5 burner gas range built into island, & double oven, plenty of counter space for those baking days. Breakfast room touts built in cabinets for wonderful storage for the many projects you can organize. Recessed lighting though living areas & kitchen with 9.5' ceilings. The master suite has sitting room for enjoying morning coffee or to read the newspaper. Master bathroom includes an over sized shower, yet, customize it as you wish. A favorite feature is the game room that is centrally located among the bedrooms as a wonderful meeting place. Landscaped yard with sprinkler system, security cameras and an automatic gate. 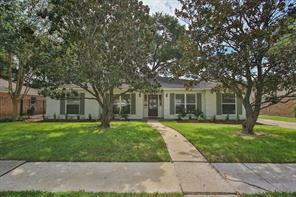 Gorgeous landscaped corner lot with shady canopy beautifully frames this inviting colonial ranch home. 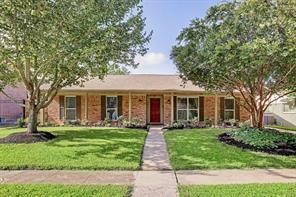 Superb curb appeal and great location in popular Park West subdivision zoned to Parker Elementary. The floorplan has been partially opened up and features dramatic beamed cathedral ceiling in the family room with skylights and fireplace. The home has tons of natural light. The guest quarters with a full bath off of the garage makes the home unique in this marketplace. Could be moved in or re-developed with 2019 color and surface selections.Deceivingly large backyard with patio, mature shade trees, with hardy plank and brick exterior. Westbury pool and pocket park with practice fields, tennis courts and elementary school conveniently located within seven blocks. 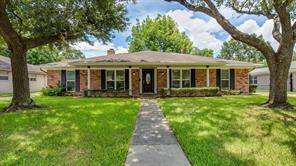 Minutes to NRG Stadium, Texas medical center, Galleria and Greenway. Great area and neighborhood. 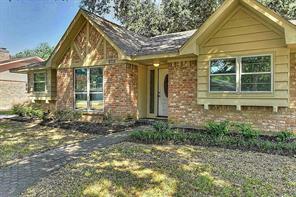 WONDERFULLY REMODELED home to incl. engineered Hickory/hardwood floors. Stainless Steel appliances. Granite countertops and travertine backsplash in kitchen. Farm stainless kitchen sink. Also granite in bathroom. Travertine backsplash in Kitchen. Low-E double pane windows. New electrical stove. R-13 insulation. Even landscaping redone. Minutes away from the magnet music schools: Parker Elementary which received many honors including being -recognized by the Magnet Schools of American and Texas Education Agency last year. 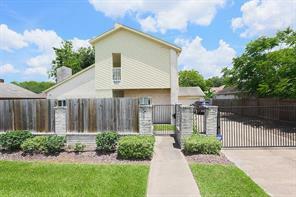 Also, close proximity to the loop, Medical Center, Meyerland Plaza, and minutes away from The Galleria. NEVER FLOODED! CORNER LARGE LOT! Updated 2019! Interior & Exterior paint! Electrical & Plumbing package, Interior doors, garage doors, cabinets, flooring, light & plumbing fixtures all replaced. Nice patio the length of the front of the house! Large trees with beautiful shade. Detached garage. 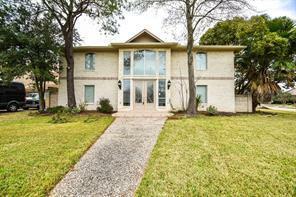 Hurry to see this fabulous home with great access to Medical Center, Downtown and NRG! Beautifully open concept ranch (NEVER FLOODED--NOT located in the 100 Year OR 500 Year Flood Plain)* Shows Like a model home! Loaded with stylish amenities that include original hardwood floors, crown molding, recessed lighting, updated windows, PEX piping,a water filtration system,recent ductwork, Hardi Plank, gutters, and insulation. * Spacious living area opens to dining area and kitchen, with granite-topped serving bar. Kitchen boasts custom Kraftmaid wood cabinets, granite counters, mosaic glass tile backsplash, and G.E. Stainless Steel appliance package with 5 Burner gas range/oven, dishwasher, built-in microwave, & L.G French door style SS Refrigerator. Guest Bath & master bath tout granite vanity & dual vessel sinks. Master bath with extra large walk-in shower with tile surround/natural stone inset.Washer/Dryer Remain.Hurry! Come see this one today! Stylish home with many updates in prime location. Never flooded. Entry opens to versatile dining room with large window & hardwood floors open to the den. Den with tile floors, built in desk or bar area, sliding glass doors that lead out to fabulous back yard. Kitchen opens to the den and been updated with soft close drawers, granite counter tops, stainless steel appliances, pantry & eat in breakfast room. Huge master features hardwood floors, vanity & updated master bath. Master bath w/granite tops & shower. Generous size secondary bedrooms both have hardwood floors. 2 car attached garage. Large back yard w/patio great for entertaining. Walk to Parker Elementary & neighborhood park & pool! Updates include: new windows, A/C, water heater, fresh paint in & out and much more. This home is newly remodeled and completely updated. Complete electric update throughout. It features engineered hardwood floors, quartz counter tops in the kitchen and both baths, an upgraded master bath with a large walk in shower. The kitchen includes a brand new Bertazzoni refrigerator, gas cook top and stainless gas oven. All new sinks featuring a 32" under mount single bowl in the kitchen. The custom built dry bar features a wine cooler. The brand new washer and dryer stay! Enjoy an evening on the large private back patio under the breeze of the ceiling fan. This newly remodeled home is a must see!! Never Flooded! 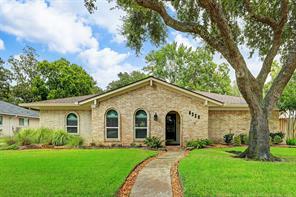 Meticulously maintained ranch home with smart updates in the heart of sought-after Westbury, zoned to brand new Parker Elementary and just minutes from area parks, pool, coming soon HEB plus Meyerland Plaza shopping and dining! Home features include: Pex plumbing, beautiful original hardwoods, recent paint, double-paned windows, recent roof, sprinkler system, 36" dual fuel 5 burner cooking, SS appls, recent driveway + sidewalk, Plantation shutters and 2" blinds, updated kitchen and baths.This home boasts a large, professionally landscaped backyard oasis to enjoy al fresco dining on large patio within the privacy of a wood fence. Dogs, kids and friends have plenty of room to roam and play in this yard large enough for a private pool. The neighborhood is known for its schools, lifestyle, friendly neighbors and amenities coming soon like the Levitt Pavilion for performing arts and the new Houston Library. Stop commuting and start spending your evenings relaxing at home! GORGEOUS Updated 4 Bedroom /2.5 baths. Spacious Kitchen with granite counters, Travertine floors, NEW Kenmore Elite SS 36'' gas Cooktop, Oven, Microwave & Dishwasher. Bar overlooks large living room w vaulted ceilings, stone gas log fireplace & Custom Builtins. 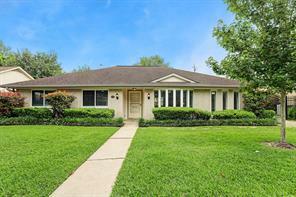 Wonderful Master with 2 huge walk-in closets, updated Bath with granite counters, double vanity, large Soaking Tub & custom Shower with GLASS Doors. Property has been updated with fresh paint in & out, Double Pane Windows. Backyard with lots of green space has a screened in porch & covered Patio. Stop right here!!! 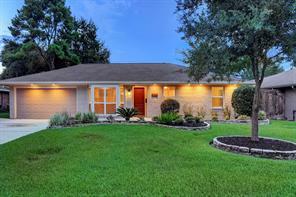 Beautifully updated home with open floor plan and huge corner lot! NEVER FLOODED Not Harvey, memorial day, or tax day! High and dry through all three! Driveway on Briarbend makes for easy access in and out. Spacious formal living/dining with beautiful hardwood floors,crown molding throughout and double pane windows. Kitchen features granite counter tops, double ovens, gas range, spacious eat-in breakfast room & island open to large den. Recessed lights,built-ins,french doors to formals & sliding glass door to over sized screened in patio. 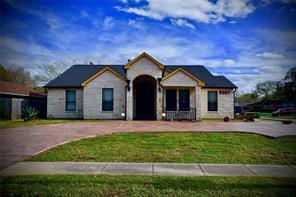 Large master bedroom with custom walk-in closet+bath w/tile floors, shower & granite counter top. Huge back yd! Great for entertaining. 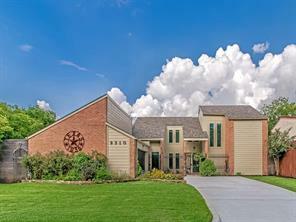 Please see the virtual tour of the home attached! 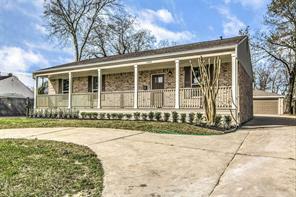 Completely remodeled, gorgeous home located in the Westbury subdivision. Home features new flooring, counter tops, cabinets, paint and the kitchen has beautiful stainless steel appliances w/stunning backsplash. 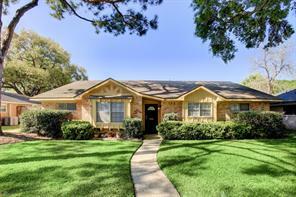 Master features a ceiling fan, carpet flooring, amazing master bath w/single shower. Secondary bedrooms are spacious and second bathroom has a lovely dual sinks, tub/shower & built-ins. Huge backyard.. A must see!!!! Room dimensions are estimated, please verify. Charming and meticulously maintained 4 bed, 2.5 bath, 3 car garage home on quite tree-lined cul de sac street offers flowing layout w/ well appointed formals, exceptional upgrades throughout and tranquil outdoor spaces. Expansive light filled family room w/ vaulted cathedral beamed ceiling, decorative brick fireplace, gleaming wood flooring throughout formal living, dining & spacious bedrooms. Other features include recessed lighting, low-e double pane windows, powder room for guests, ample storage & recent A/C system, furnace & water heater. Combining superior performance & longevity the home is also equipped w/ a Decra steel roof adding a unique elegance that is warranted and transferable. Partially covered back patio w/ stamped concrete & proper drainage overlooks picturesque backyard. Gated drive leads to three car garage. This immaculate home has NEVER FLOODED! 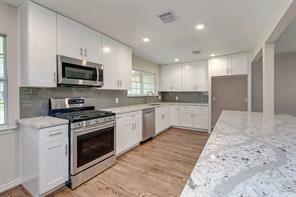 Beautiful fully remodeled home with designer finishes such as Quartzite counters, herringbone inlaid tiles, commercial grade stainless appliances, energy efficient windows, new plumbing throughout, and much more. New Roof 2016. Great location on a cul-de-sac, and convenient access to freeways for easy commute. 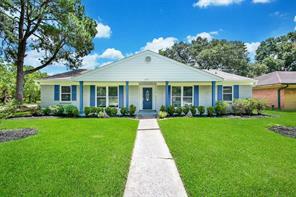 Beautiful, one-owner home is completely remodeled and move-in ready. Never Flooded! Everything top to bottom replaced/updated: foundation repaired w/lifetime transferable warranty, fully updated electric and sewer, new Trane HVAC, new 30yr roof, new windows, new 50g water heater, fresh driveway, and new carriage style garage doors. 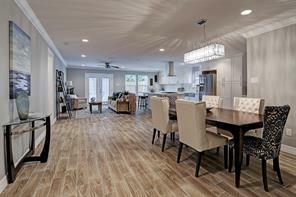 Gorgeous Hickory Hardwood floors throughout the open kitchen/living area. Custom Chef's Kitchen boasts reclaimed wood shelves over Calcutta Quartz counters, soft-close cabinets w/tons of storage, and deep farmhouse sink! Prepare delicious meals on 5-Burner stainless gas range, and do your meal plans, shopping lists, or listen to music on the Samsung Smart Fridge with Familyhub touchscreen! Giant, private backyard with variety of mature fig, banana, and palm trees and beautiful blooming flowers: perfect place for hosting backyard bbqs and relaxing on the new 20x12 patio. Timeless antique Chicago brick exterior w/ recessed soffit lighting welcomes you home. HUGE PRICE DROP ! 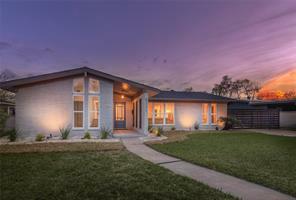 Beautifully remodeled 3 bedroom 2 bathroom contemporary Home in the highly desired Westbury subdivision. Full gut renovation for elegant Home on a quiet interior street, that NEVER flooded! Feels like brand new home with New kitchen granite counter tops, with designer Subway tile back splash, and Stainless Steel Appliances, new sink. New faux wood grey tile in all living areas with new grey carpet in bedrooms. Fully painted inside and out with two tone white and grey paint. New AC unit installed 2019, with new fixtures, ceiling fans and modern recessed lighting throughout. Large study or formal living room. New bathroom cabinetry with granite tops and new tubs with fully tiled walls. Breakfast bar with pendant lighting. This home has great curb appeal, a new patio and fenced over-sized backyard. Walking distance from public schools and parks. Now is the time to get into your future home and take advantage before the market is full of buyers. Experience the serenity! HERE IT IS...THE HOME YOU'VE BEEN LOOKING FOR. At just under 1,800 sqft. this beautiful FULLY RENOVATED 3 bedroom 2 bathroom home boasts a wide open living area with abundant natural light, wood-looking tile and hardwood floor throughout the home, recessed lighting, brand new kitchen and bathrooms with granite countertops, mosaic tile backsplash, tiled-in showers, and brand new stainless steel appliances. The house has a large backyard, detached 2 car garage, recent foundation work done. The sewer line was replaced in 2012, recently replaced water heater and new energy efficient windows installed. NEVER FLOODED - per seller. MUST SEE. NEVER FLOODED!! per seller. 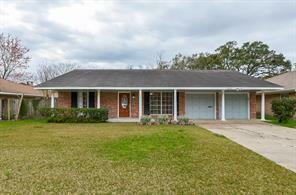 Well maintained home with an open floor plan and lots of space. Located on a corner lot with nice sized bedrooms, a brick fireplace and a wood beam ceiling in the living and dining room. 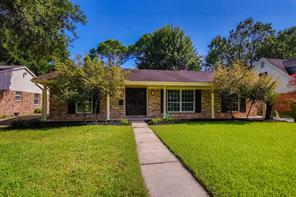 Fantastic location close to shopping, schools, the Galleria, Med Center and Downtown. Buyer opportunity - priced below appraisal value! 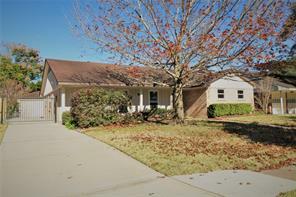 Appraised for $321,000 on 11/8/18. 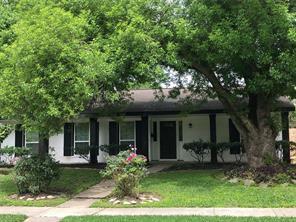 **HIGH AND DRY DURING HARVEY** This spacious charmer in Westbury is close to the inner loop and will provide easy access to the medical center, Bellaire, and the Galleria. You'll save time and money in this newly renovated property where you can start nesting and adding your personal touches right away. 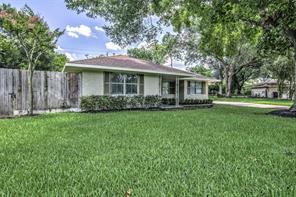 Stunning updated kitchen and baths, new tile flooring, new interior and exterior paint, recessed lighting, new ceiling fans in bedrooms, windows recently replaced, and more. The extra large, open-concept kitchen/family room has the wow factor. This floor plan offers excellent flow, adding to the already light and bright atmosphere. The sellers are providing an upgraded home warranty with extra A/C coverage. Close to Parker Elementary, a National Magnet School of Distinction. Zoned to Meyerland Performing and Visual Arts Middle School. In desirable Sec 1, this Frank Lloyd Wright style open concept home is unique in this mostly ranch-style neighborhood. Never Flooded! If you include the Atrium, this is one of the largest homes in Sec 1 at 2650SF. Both Master bedrooms, dining, living room and pool bath each access the pool. TPO reflective membrane roof. 80'easement behind lot provides extra backyard privacy. Home hasn't been renovated recently but is undergoing minor repairs, fresh paint in and out and will be move-in ready. This beautifully, completely renovated home in Robindell is what dreams are made of. Property has never flooded. This well-appointed home features an open floor plan with countless upgrades, including fresh paint and natural wood flooring, as well as a NEW roof, plumbing, and tankless water heater. Bring out your inner chef in the gourmet island kitchen featuring custom cabinetry, quartz countertops, subway tile backsplash, and stainless steel Whirlpool appliances. Enjoy quiet evenings in the stunning master suite, which boasts a walk-in closet, dual vanities, and large frameless shower. Other distinguishing features include an oversized attached carport perfect for outdoor entertaining, as well as a picturesque backyard with a patio, mature trees, and storage shed. Ideal for commuters with proximity to U.S. 69 and I-610, as well as the Texas Medical Center and Downtown Houston. Located less than 3 miles from Robindell Private School. Don’t wait – book your private showing today! 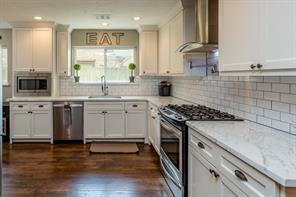 This beautiful, newly remodeled home nestled in Braeburn Valley has all the right touches. It boasts four spacious bedrooms and a gorgeous new kitchen featuring new granite countertops, new stainless steel appliances, and new classic white cabinets. Enjoy ease of mind with a new roof, new water heater, and new electrical panel, all installed in 2019. Bathrooms have been elegantly remodeled. Additional features include stunning engineered hardwood flooring in the main areas and elegant picture windows offering plenty of natural light. This is a rare 2-story gem with no back neighbors. Home is not in a flood plain. Quiet locale, charming, original-owner home, tucked on tree-lined street in highly sought Maplewood South. Property features: custom, rare and thoughtful floor plan with 2 beds downstairs and 3 beds up, 2 1/2 baths, spacious back yard, updated roof, hypo-allergenic a/c, two living and dining areas, walk-in closets in all bedrooms, extra storage throughout home, unexpectedly spacious pantry and utility room. Needs updating throughout. Priced to sell. Zoned to Medical Scholars Magnet Elementary school. 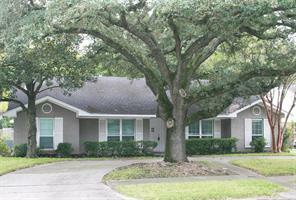 Conveniently located minutes from Med Ctr, Galleria, Downtown and bayou walking trails. NEVER flooded! Priced to sell and the best value in the neighborhood! Tucked on a quiet, tree-lined street, this classic home hits all the right notes. Diligently cared for, property features include: new, double-paned windows throughout for extra efficiency, wood flooring, recent roof, fireplace, recently installed electrical service panel, sprinkler system, built-in bookcases, updated kitchen cabinetry, granite counters & stainless appliances, including a gas-cook-top, both bathrooms updated, recent furnace, large exterior deck and backyard, recently installed fencing, driveway gate, French drains & plenty of extra storage. Conveniently located close to Med Center, the Galleria, grocery, walk/bike trails, shopping, restaurants and just the right distance from major freeways. NEVER flooded! Welcome to this beautiful home in the highly sought after area of Westbury. It's all about location, close to the Medical Center, downtown, shops and restaurants nearby. Plus, award winning schools! The kitchen has just had a recent remodel with tons of cabinets, new appliances and the refrigerator stays! Hardwood floors throughout the living areas, no carpet....and it did not flood per the seller. You will love the openness of the home with the living/dining very spacious. The double french doors in the dining area lead you to a huge screened in patio. Imagine the possibilities of having outdoor dining, pool size backyard where you can build your outdoor oasis. Schedule your showing today! This beautifully updated home is tucked at the end of a quiet culdesac. The interior features an updated kitchen and baths, oversized Dining area, gorgeous hardwoods, new carpets, and lots of natural light. The original exposed brick fireplace adds to the charm of this home. The backyard oasis features beautiful palms, with plenty of room for play and relaxation. This home is perfect for entertaining! Will not last long, Schedule you appointment to view today! Completely remodeled one story home on a large corner lot with new floors, fresh paint, updated fixtures, appliances, and more! Features include stunning wood like tile throughout, carpet in the bedrooms, crown molding, recessed lighting, and a lovely neutral paint palette! Step into the formal dining and living room area which is nice and spacious - great for entertaining - and you'll also find a study that could be made into a 4th bedroom! The incredible kitchen boasts stainless steel appliances, solid counters, and a striking subway tile backsplash while the master suite has his and her walk-in closets and a gorgeous shower. This home also includes great secondary bedrooms, both bathrooms with stone like tile, an expansive front porch, and detached garage. Nearby access to major roads and endless possibilities for shopping, dining, and entertainment in the Downtown area! DID NOT FLOOD DURING HARVEY (or any other storm) per seller. 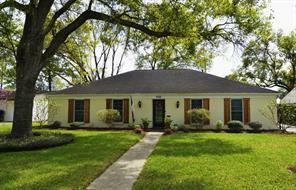 This Charming home features 4 Bedrooms, 2 and 1/2 Baths, with Formal Living and Dinning Rooms. Upgrades and Amenities include Electric Range and Double Ovens replaced and Master Bathroom Shower renovated within the last 10 years. New Carpet in two Bedrooms. Electric Utility Panel Upgraded/Replaced in 2018. Exterior Paint in 2018. Formal Living could easily be converted into a Large Office or Media Room. Convenient to the Medical Center, the Galleria, and NRG Stadium. Stunning custom home with enormous room sizes.This elegant home is a beautiful one story with top of the line upgrades. Custom crown moldings in many rooms. There is a custom leaded glass door to great your guest.The entry is 24x10 and has custom tile.The formal dining has a wall of windows, a giant chandelier, so very light and bright.The kitchen has a gas 6 burner cook top, oven, and electric cook top. Everything in the giant kitchen is gourmet, high end, Jennair and other top of the line appliances.The kitchen has a pass through wet bar to family room. The family room is huge,31x23, 2 giant chandeliers with custom inlays.In family and breakfast there are lighted built ins. The Giant master has a custom bath in the over sized shower, double vanites, and more built ins. The breakfast, family room and master all overlook the sparkling pool/hot tub. This is the perfect home with great amenities, spacious rooms and entertaining areas. 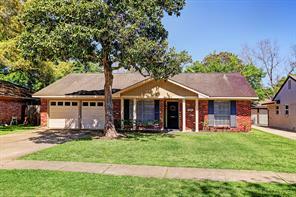 Come and see this updated home in Maplewood South! 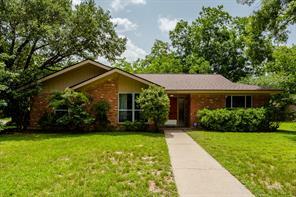 This excellent one story sits on a large corner lot with lots of trees for shade and has NEVER BEEN FLOODED! 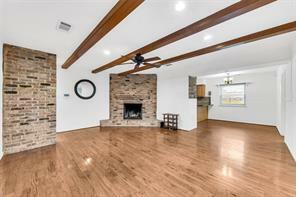 This home offers hardwood floors, Brick fireplace, wood beams in living and 2 car garage. The kitchen has Granite counters, backsplash, maple cabinets & stainless steel appliances. Master suite offers a nicely remodeled bathroom. Remodeled guest bath was completed as well. This home has increased energy efficiency with extra insulation & low E double paned windows. 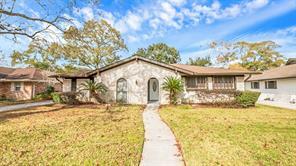 Excellent location Convenient to the Med Center, Galleria & Downtown. Check out the 3D model walkthrough and schedule your showing today! Looking for the perfect new home. Look no further. Build Your Dream Home on this lot. This offer spacious and unique rooms Energy-Saving Innovations. PLP Homes offer a patio home built with you in mind. 2 Car garage, 2 story 4 bedroom with the Master downstairs. Minutes From local fwy shopping. Call/email for more information. This beautiful move-in ready, recently renovated home is situated on a gorgeous lot full of mature, towering trees. This home features: new paint, tile and wood flooring, loads of natural light entering through the double paned windows, granite on all countertops, designer fixtures and color scheme, open concept living, dining and kitchen combo, covered veranda, mature landscaping offering utmost curb appear, large two car garage, ensuite master bathroom, all in the popular Westbury Section 1. NEVER FLOODED (per seller) and NOT in the floodplain. Zoned to Parker Elementarty. Washer/Dryer/Refrigerator convey. Schedule an appointment today! Did Not Flood! This is the one you were waiting for! Remodeling finished January 2019! Best price in Westbury! Traditional one story ranch with contemporary flair inside. Open, flowing, interior with decorator inspired palate of grays and whites. 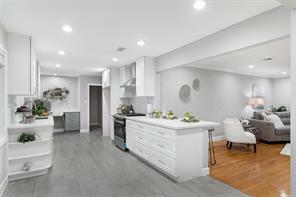 New white cabinets, white granite with gray veins, glass subway brick back splash, upgraded fixtures, modern vinyl wood like plank floors, energy efficient windows, interior and exterior paint. Nothing to do but move in. Half block to Lee Hagar park with pavilions, playgrounds, walking / jogging trail and Anderson elementary school. 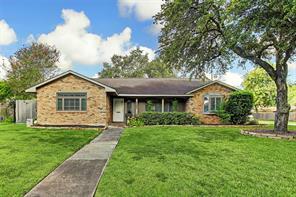 Easy access to the Houston Medical Center via HWY 90A. Close proximity to the 610 Loop makes for a convenient commute to the Galleria, Mid-Town and downtown. Schedule an appointment now! Stunning remodeled home in well-established community!No Flooding! Dramatic Entry W/Atrium in the center of home! New NuCore Luxury vinyl flooring throughout! Freshly painted walls! Updated light fixtures throughout! Formal Living & Dining rm W/new chandelier & high coffered ceiling! Study W/Built In Desk! Stunning family rm with Remodeled wet bar w/quartz Counters, lighted faucet fixture & wine fridge, floor to ceiling gas fireplace, vaulted ceilings & wood beams! Easy flow into casual dining & gourmet kitchen! Kitchen w/custom shaker cabinets,new Whirlpool Energy Saver stainless steel appliances,quartz counters, under mount double deep sinks & more! All Bedrooms w/new Mohawk carpets & ceiling fans! Luxurious Master Bedroom has tray ceiling & chandelier!Beautiful Master Bath has double sinks, sleek quartz counters,a deep tub & shower w/tile accents! 3 1/2 Bathrms! Huge Laundry Rm W/ quartz Working bench! Outside covered patio, newly re-plastered pool & spa! Cool Decking resurfaced!